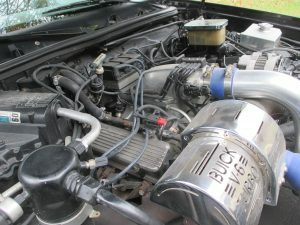 his 1987 Buick Grand National has been affectionately nicknamed the “Turbo Tenor”. The gentleman owner of this car is a New England resident with a wonderful voice ( tenor of course) and a big heart. 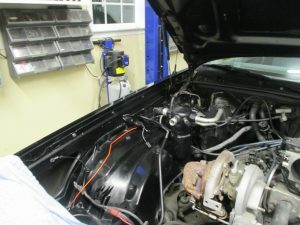 This is a very nice car just in need of need of some TLC as there are few parts our of place. 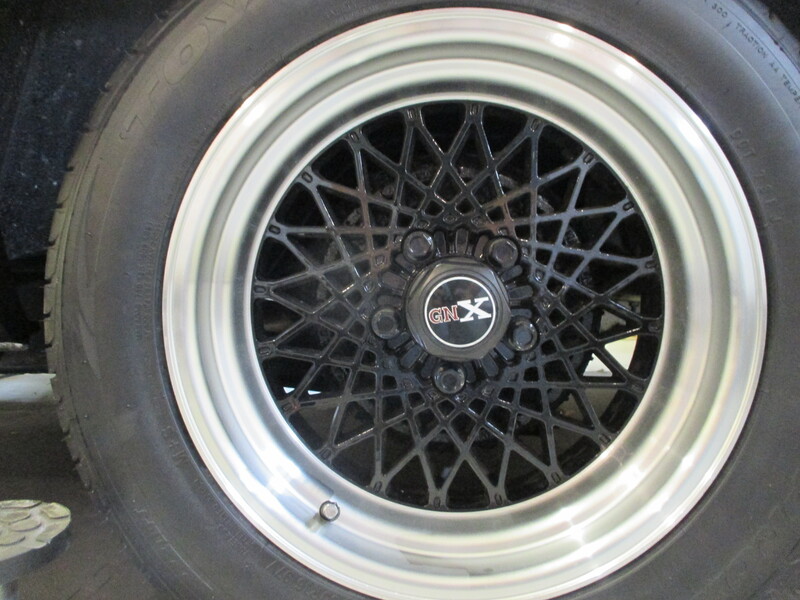 We are up to the challenge of a mechanical restoration so that the owner can once again enjoy this beautiful car. 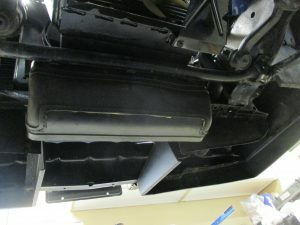 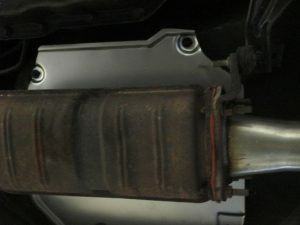 The catalytic converter heat shield was removed and powder coated for better durability and it look nice! Wheel well trim installed. 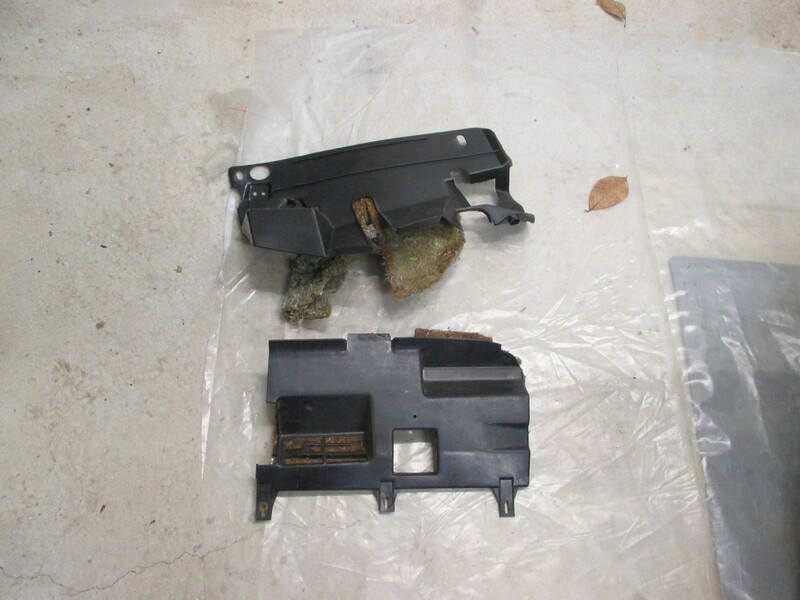 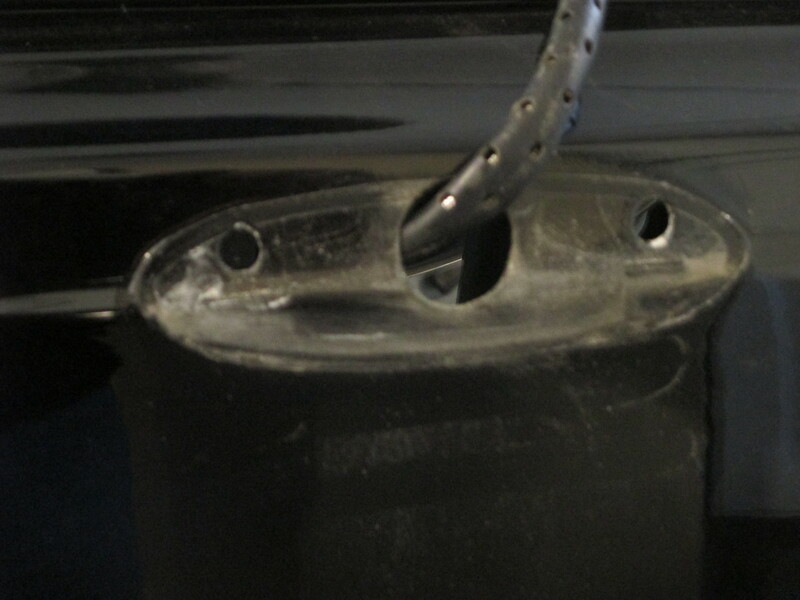 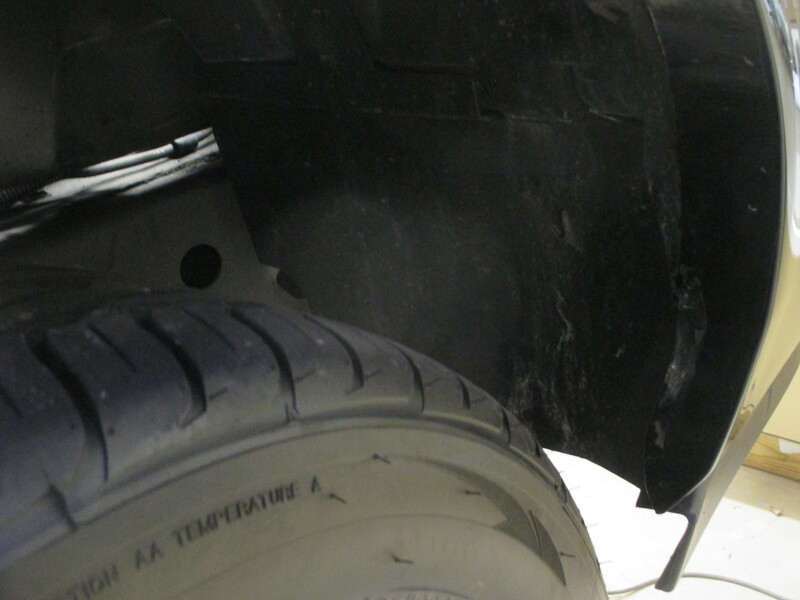 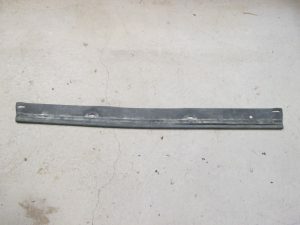 Driver’s side rear: the old screws were braked of in the quarter panel. The head were covered over in bondo and painted. 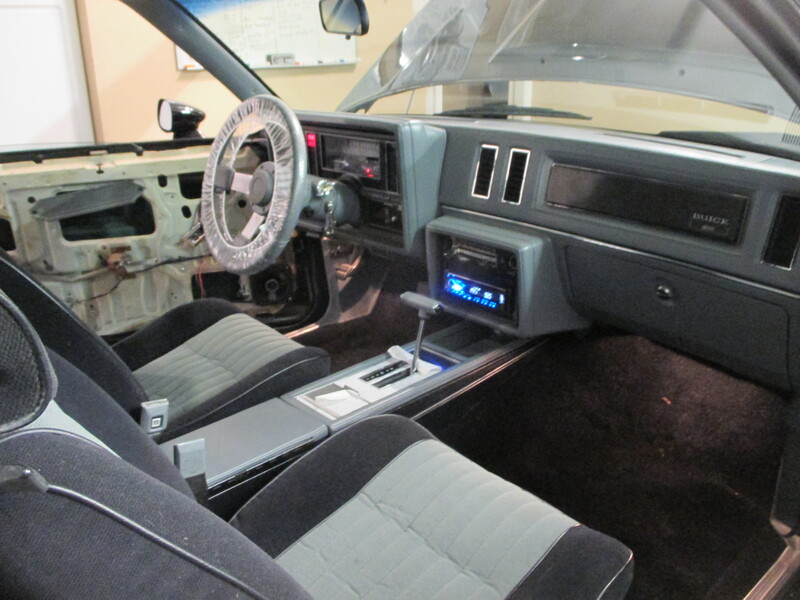 We re-drilled the holes and installed the trim. 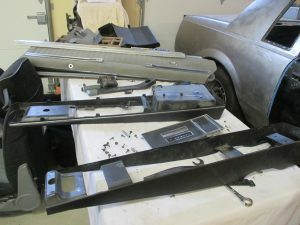 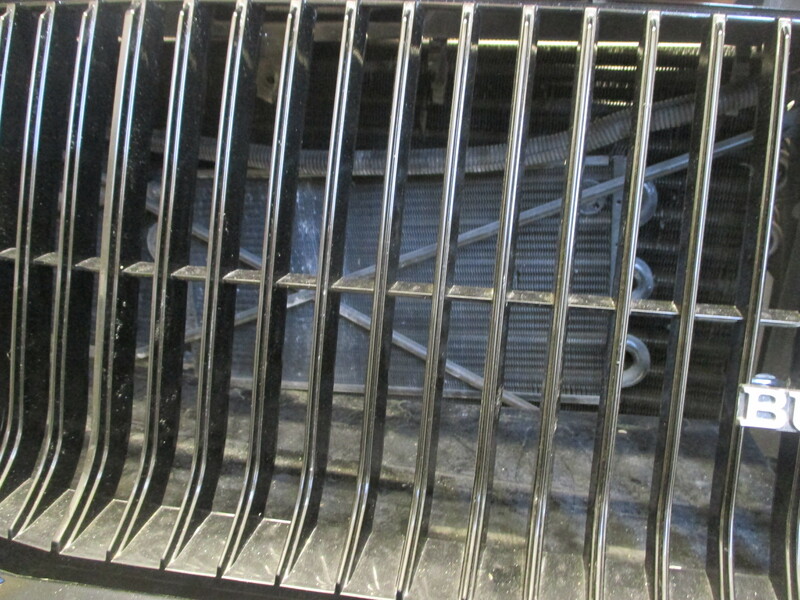 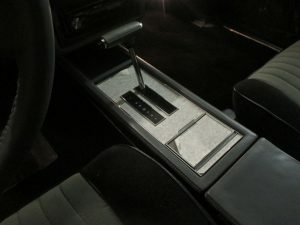 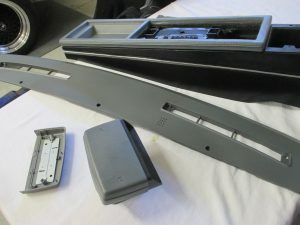 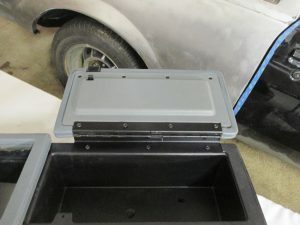 The are the kick panels that are under the dash on the passenger’s and driver’s side. 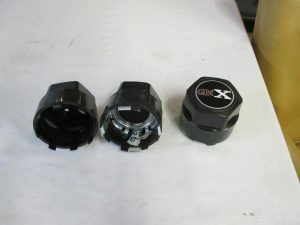 They were both missing and these are the replacements. 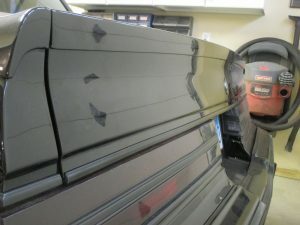 This is what happens when the car is painted with the mirrors on. The paint outline forms a ridge or edge that eventually chips off. 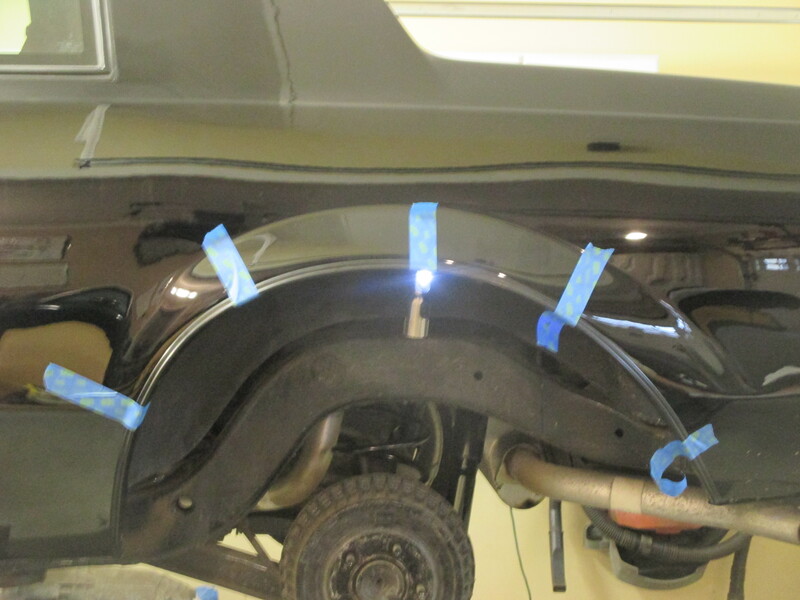 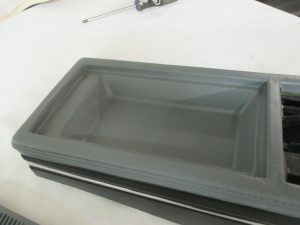 This area should be sanded with the mirror off, paint blended and then the mirror replaced with a fresh gasket. New billet aluminum horn ring. 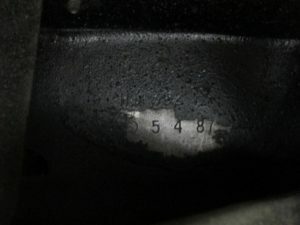 Looks stock and will never crack. 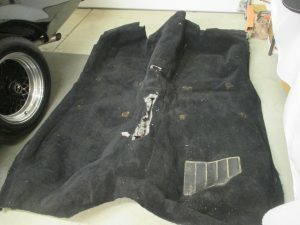 After removing the carpet we found a low cost tar paper like sound deaden-er. 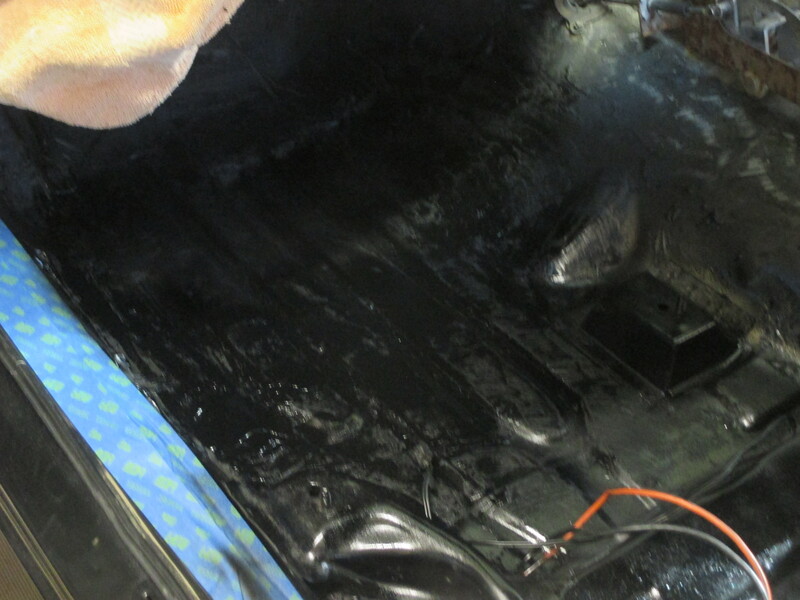 Ordinarily this is not a problem as long as the floor is first prepped and painted. 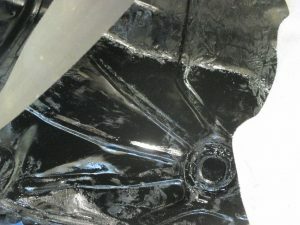 These materials tend to trap condensation and will cause the floor to rust. We have also found the it can be used to hide holes in the floor. 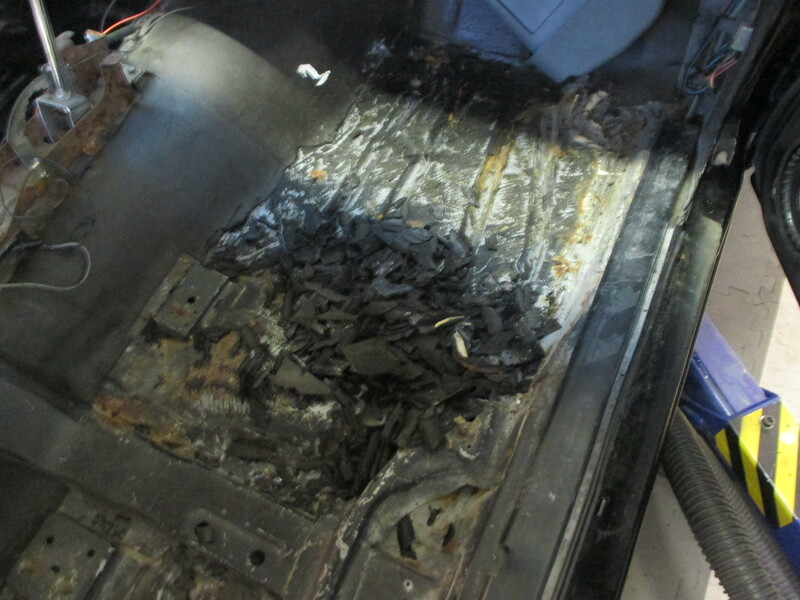 All of this material had to scraped off by hand so that the floor could be checked, cleaned and painted. 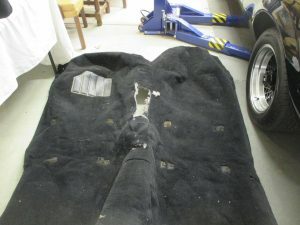 The carpet holes were cut too large and a bit out of place. 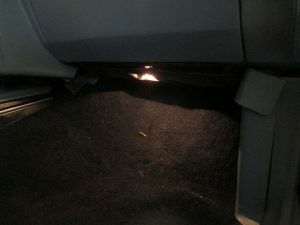 We removed the carpet cleaned it and will do our best to achieve a better fit. 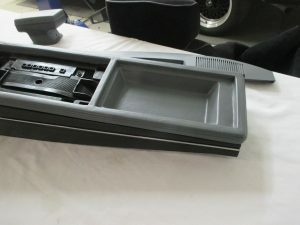 The console was in rough shape but complete. 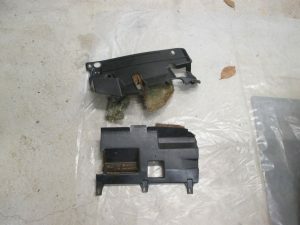 We removed it and disassembled it. 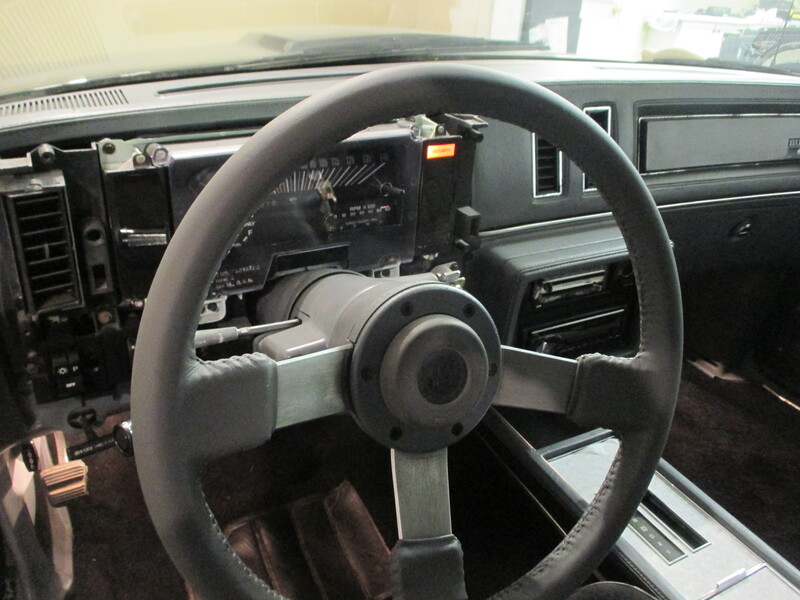 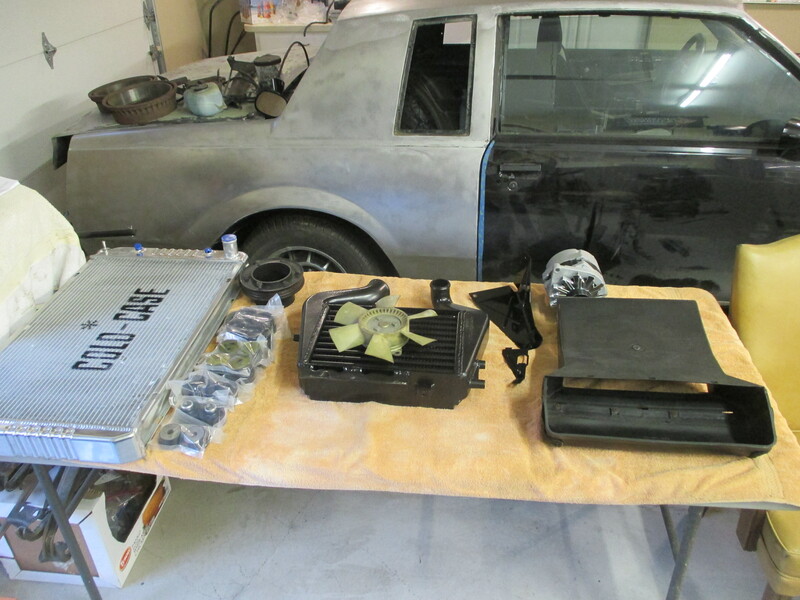 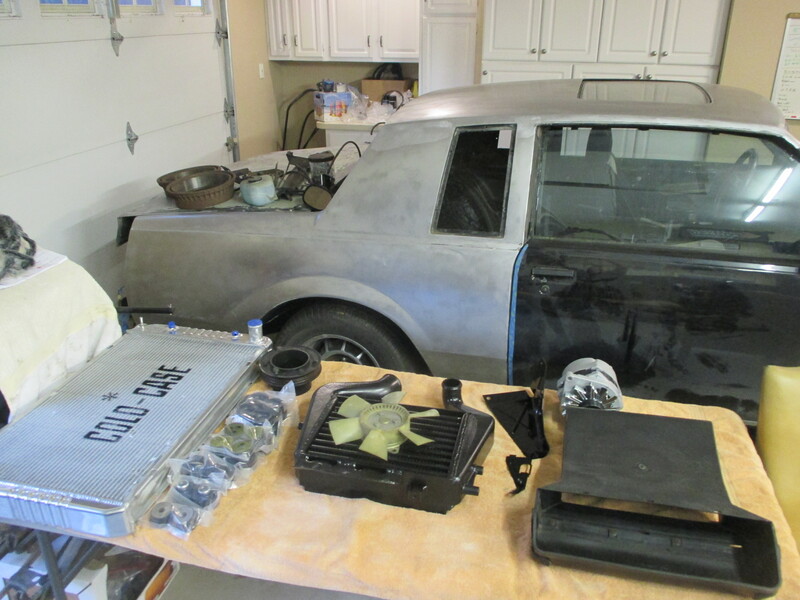 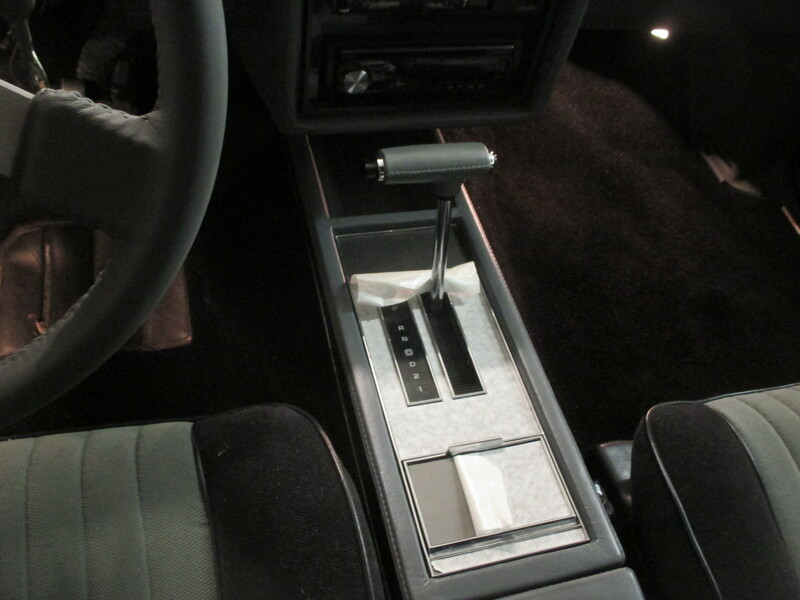 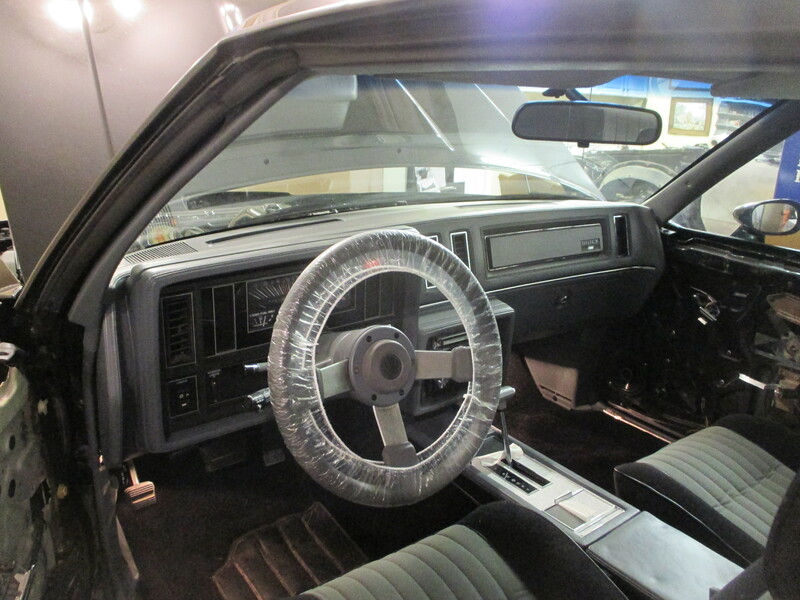 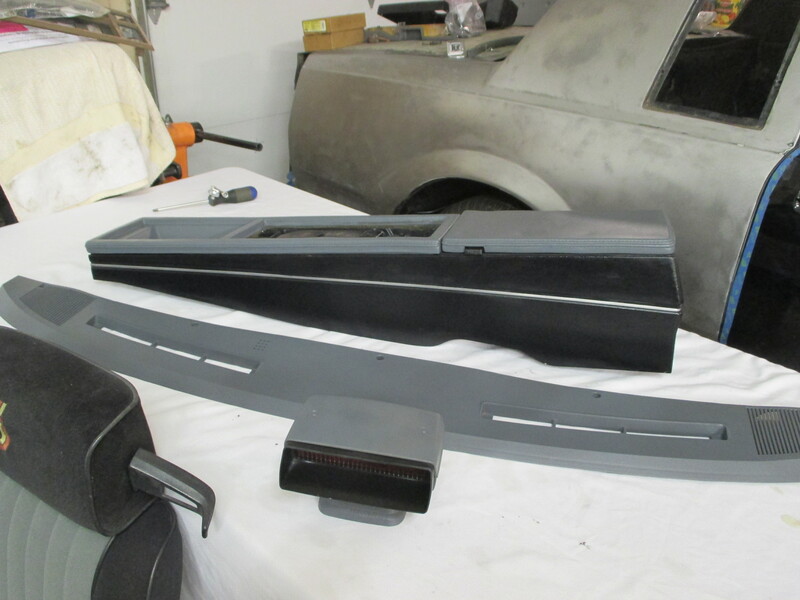 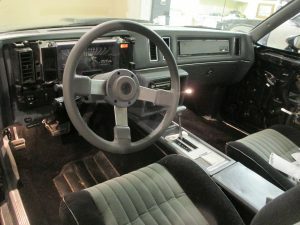 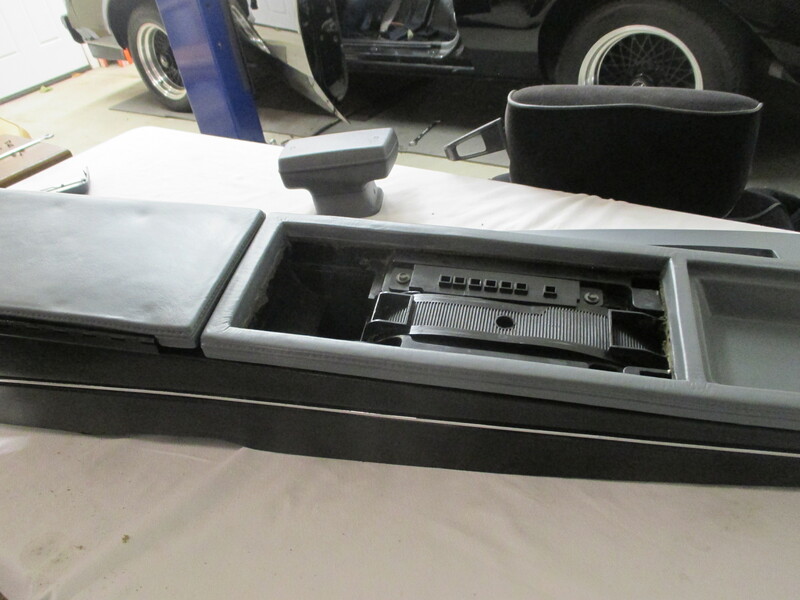 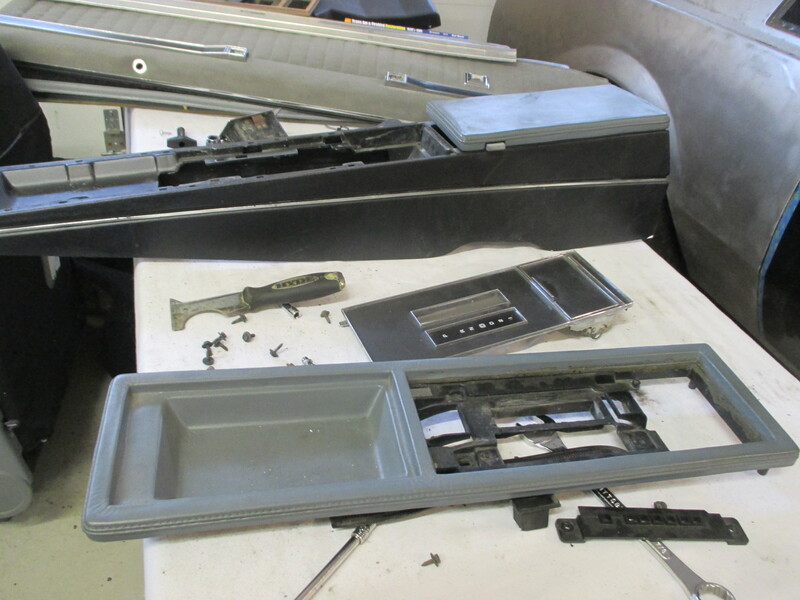 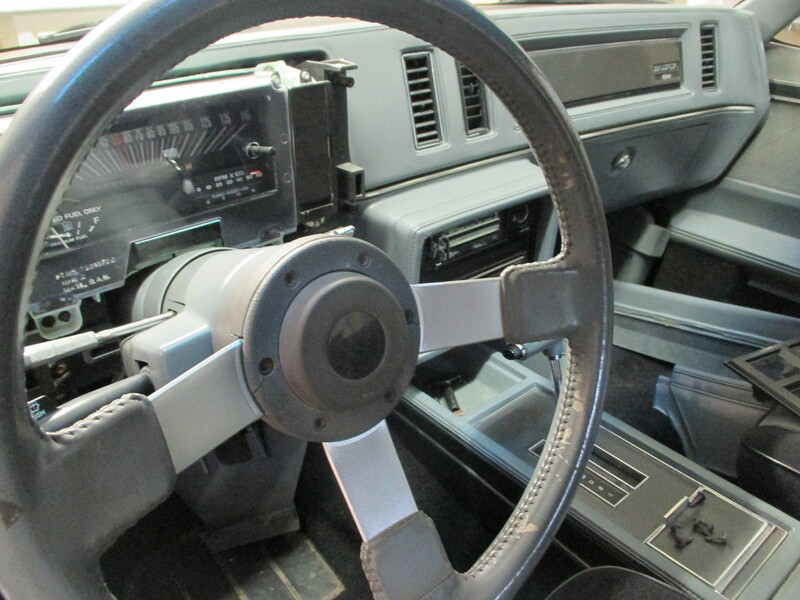 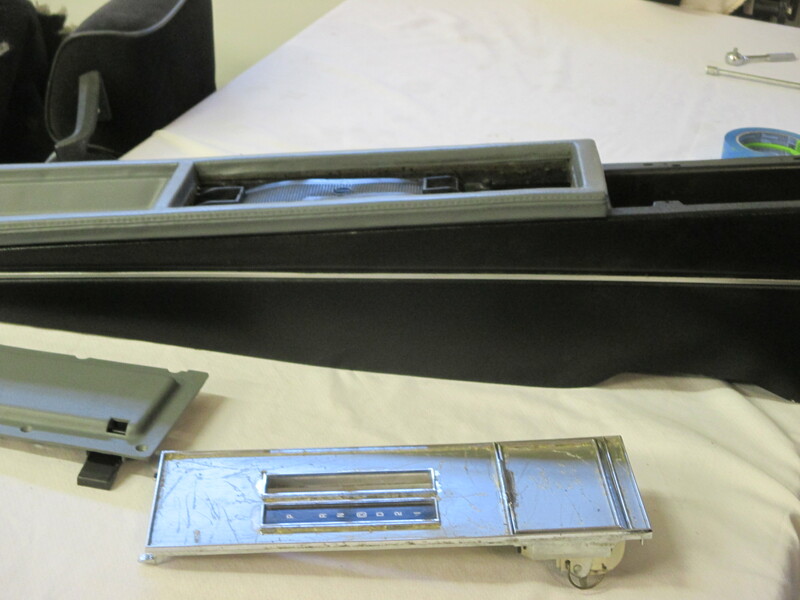 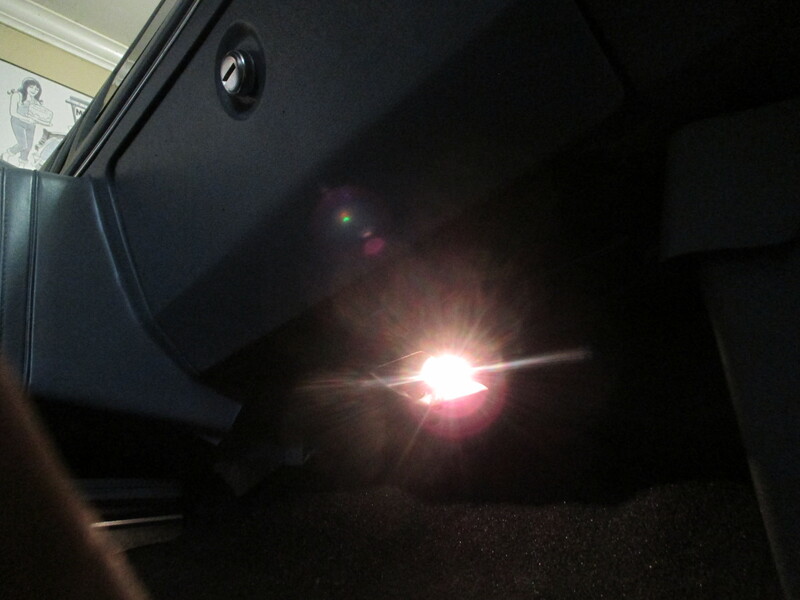 The top portion was prepped and painted with the correct GM interior color paint. 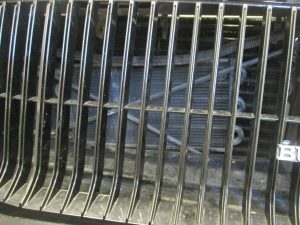 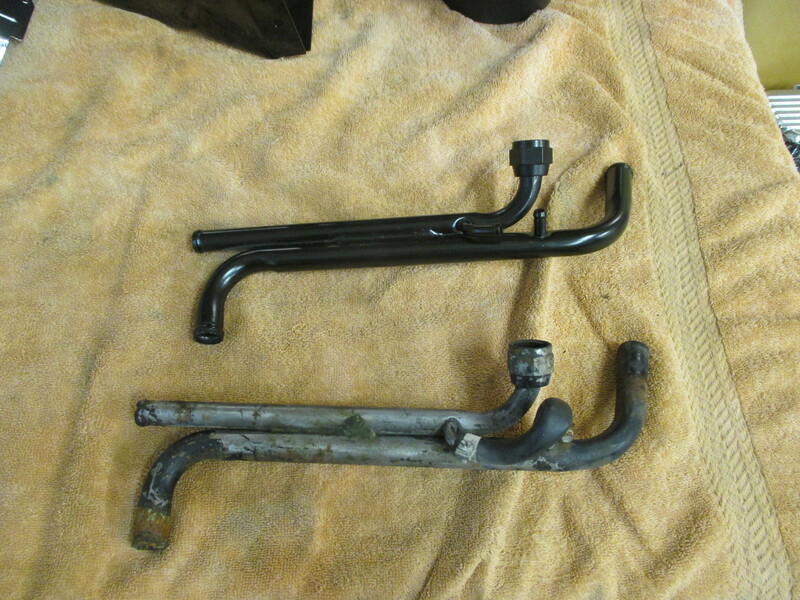 the two lower sections were also taken apart cleaned and the chrome detail was restored. The only damage we found is on the lid, which has a split which faces to the rear of the car. 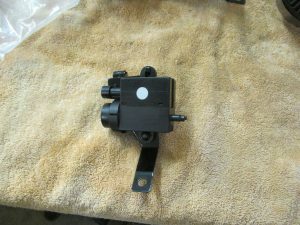 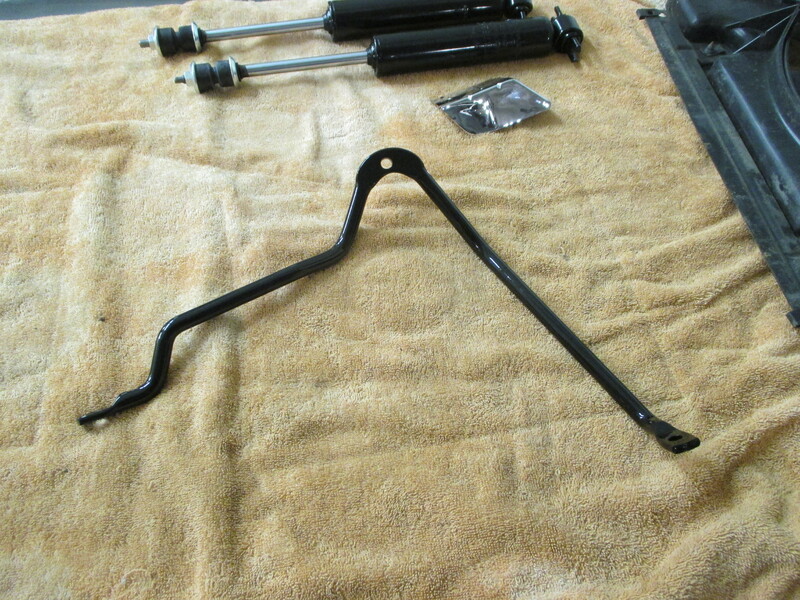 The shifter cover was stripped and will have a new applique installed. 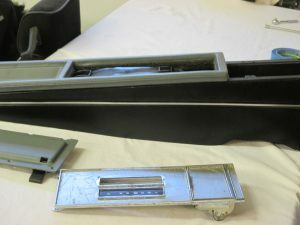 Also the frame for the ashtray cover is bent, which makes it hard to open the cover. 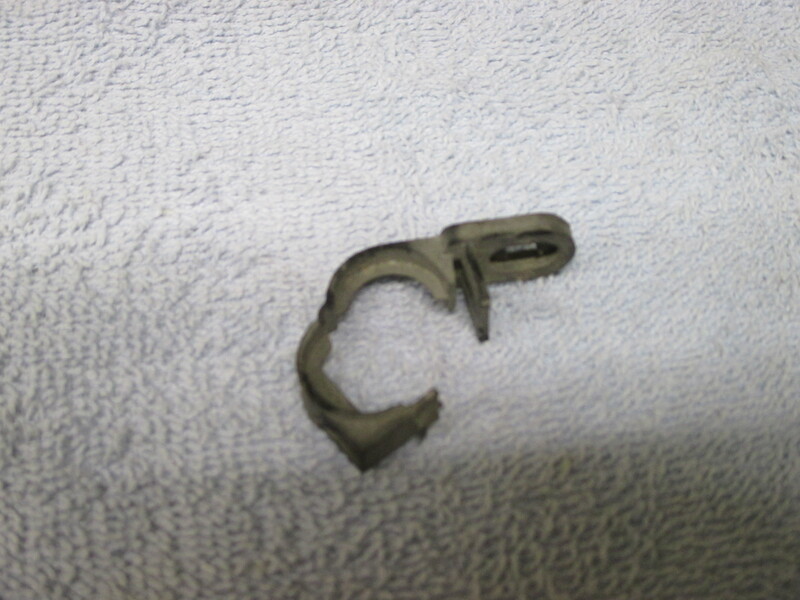 We did our best to unbend it and it seems to open fine. 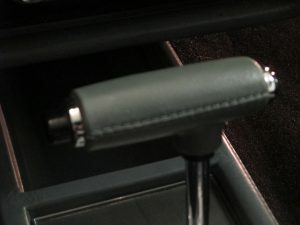 The shifter handle pin was lost and replaced with a bent nail. 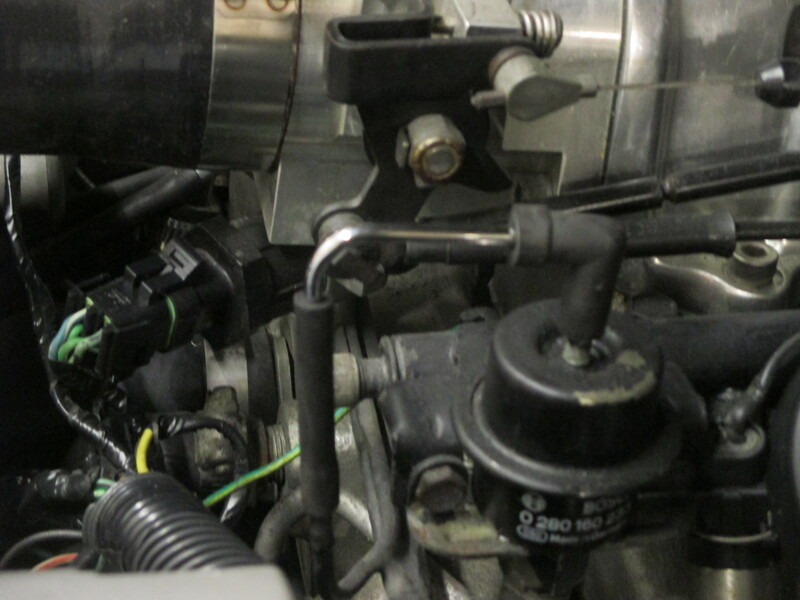 We replaced it with the correct pin. 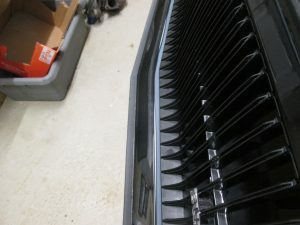 We also noticed that the 3rd brake light was crooked. 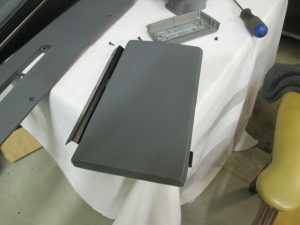 The screw mounts in the lid were broken. We replaced the lid and cleaned the light. 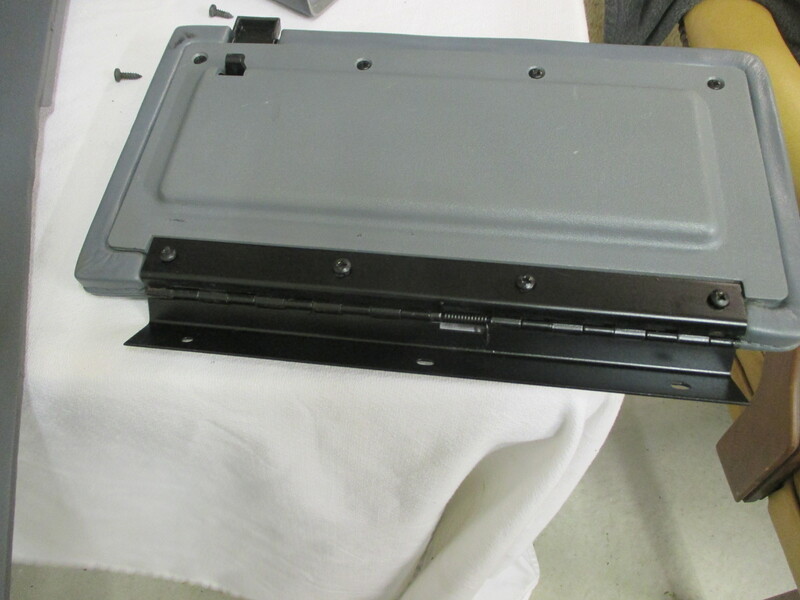 We also noted that the front dash cover was painted a darker color gray. 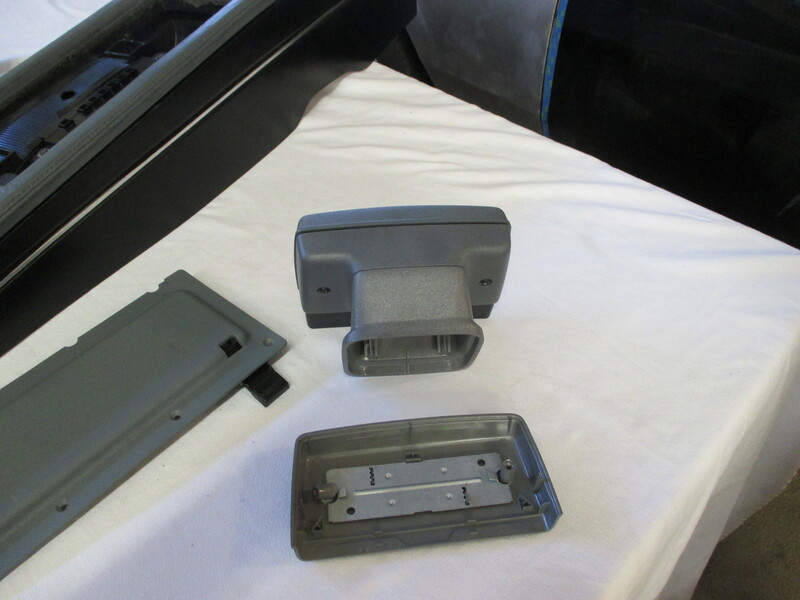 We removed it and painted it with the correct GM gray as well as painting the screws with fresh black paint as they are visible. 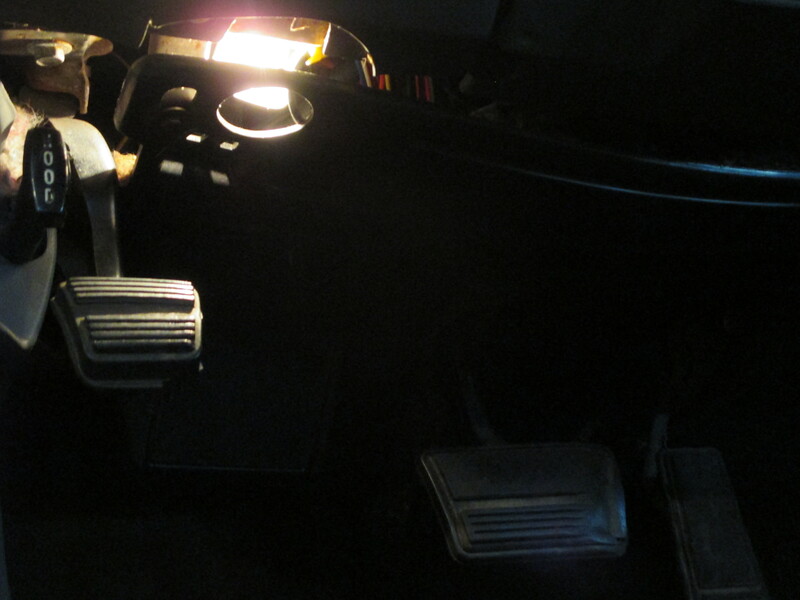 Further into the interior. Things of note that don’t need to be corrected but you should be aware of. The rear seats don’t fit tightly. The under framing of the seats may have been bent out of shape during the seat cover install or the seats may not be Grand National seats. 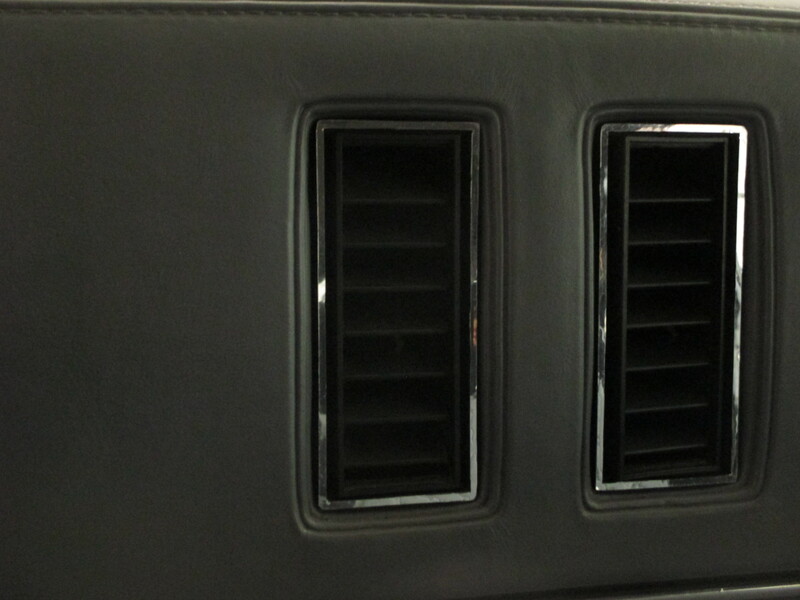 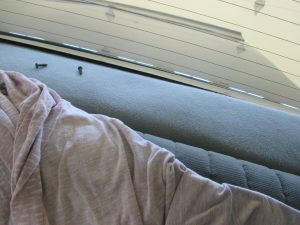 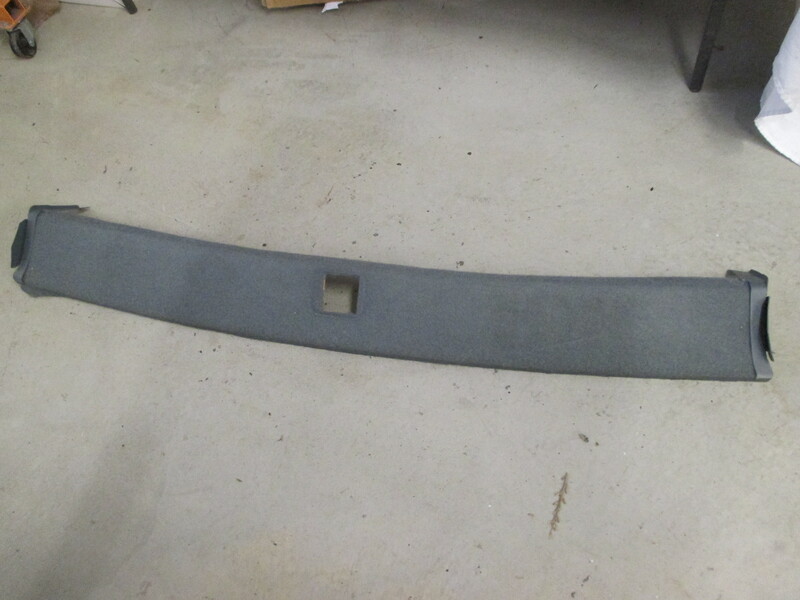 The rear speaker cover is covered in headliner material, which is a dense material meant to insulate. They are normally covered in a material that breathes and matches the color of the gray trim. 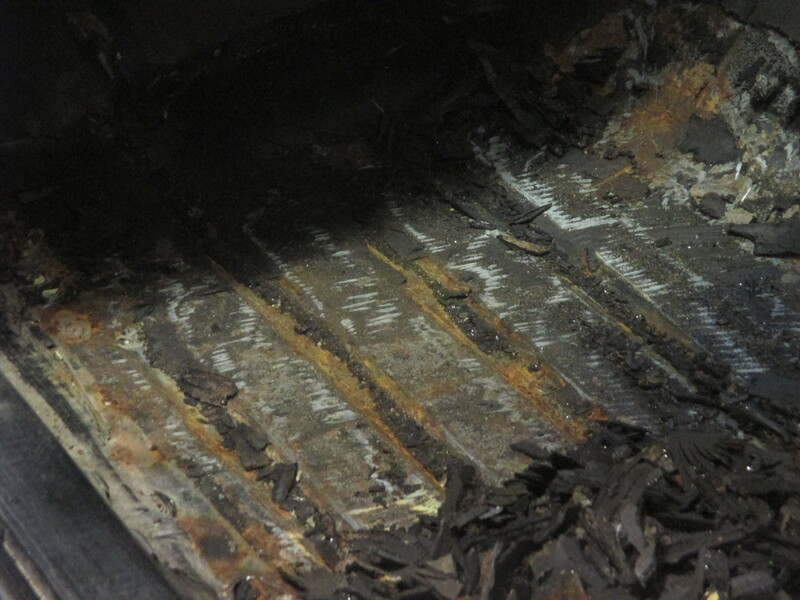 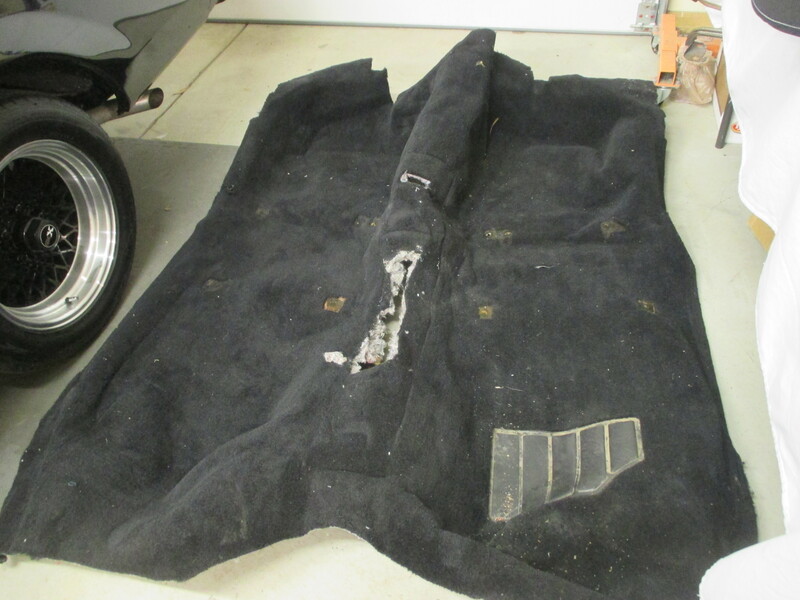 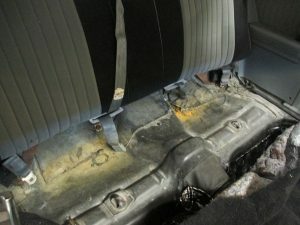 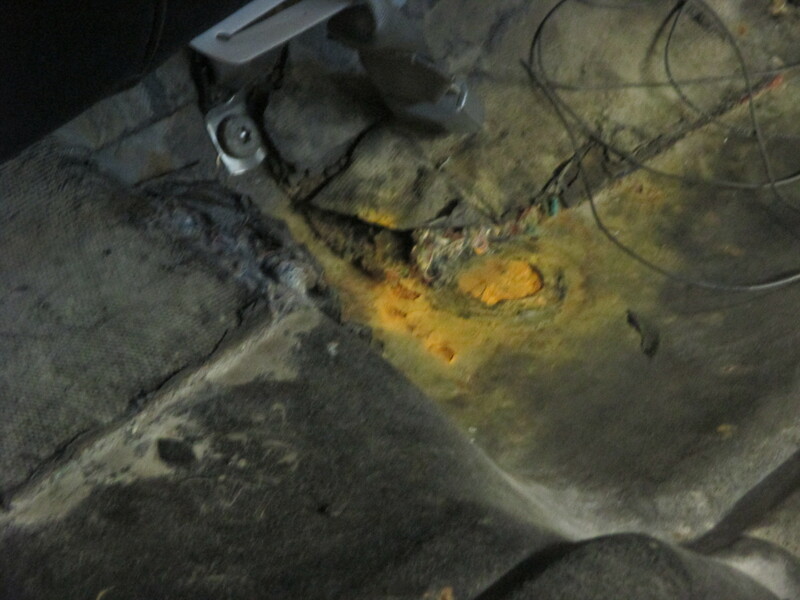 There is no insulation under the rear seat and rust is beginning to form. 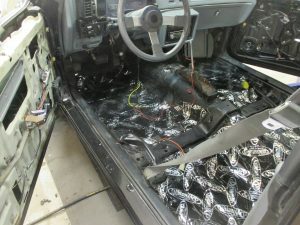 We can clean that up easily and find some insulation for that part of the floor. 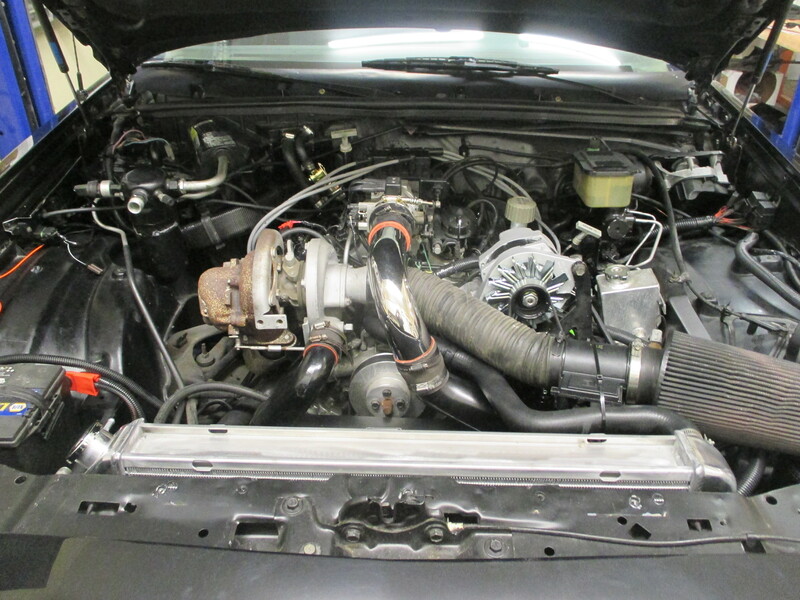 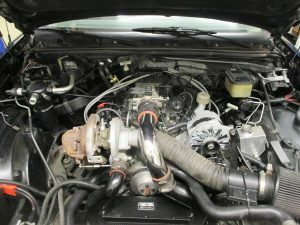 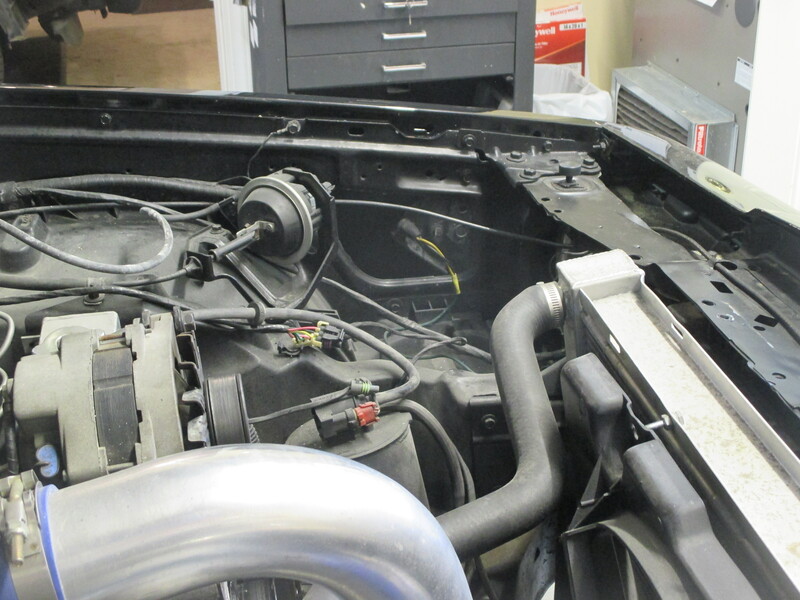 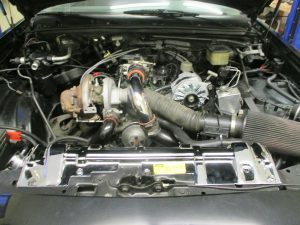 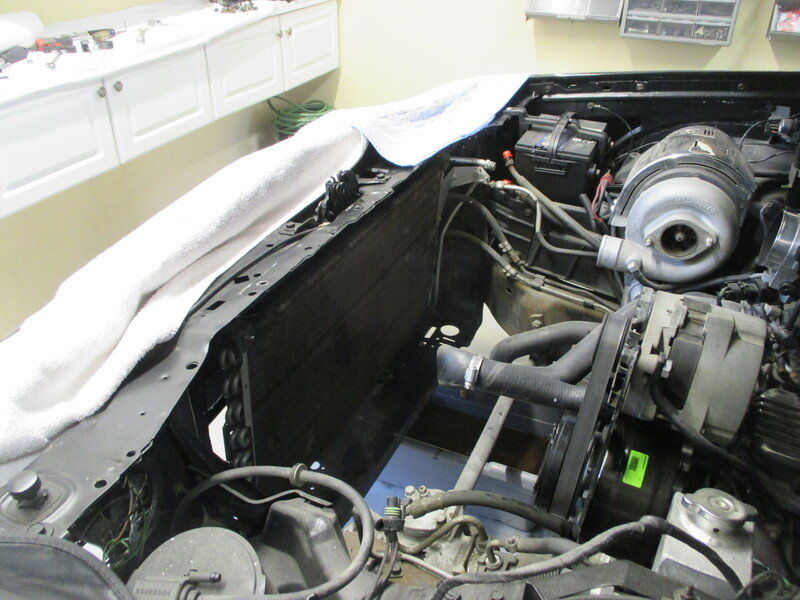 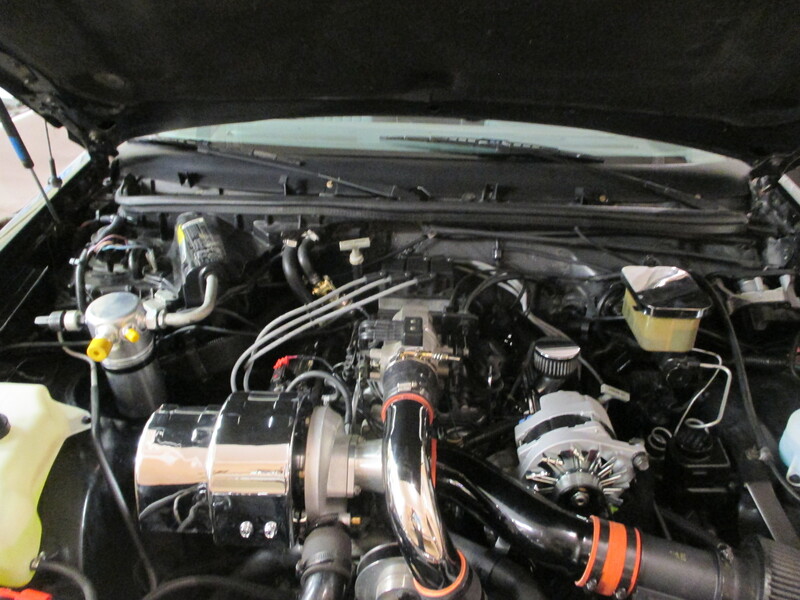 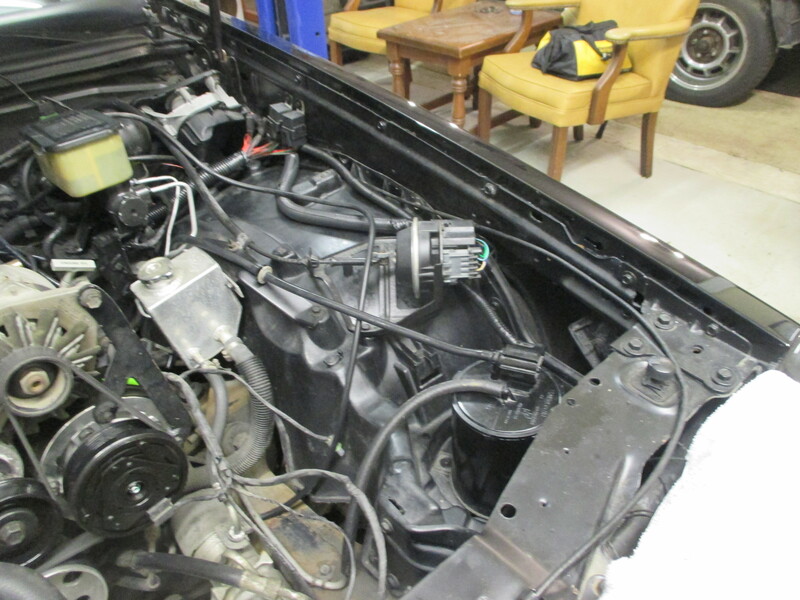 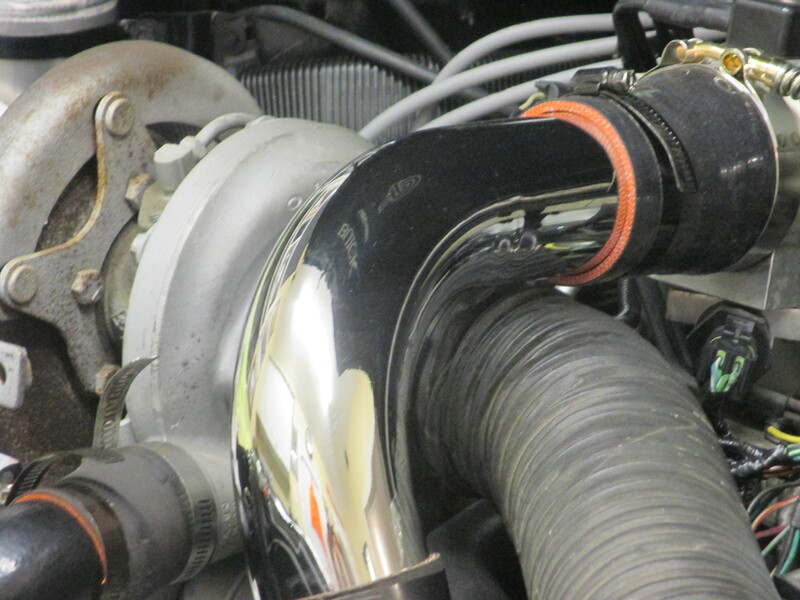 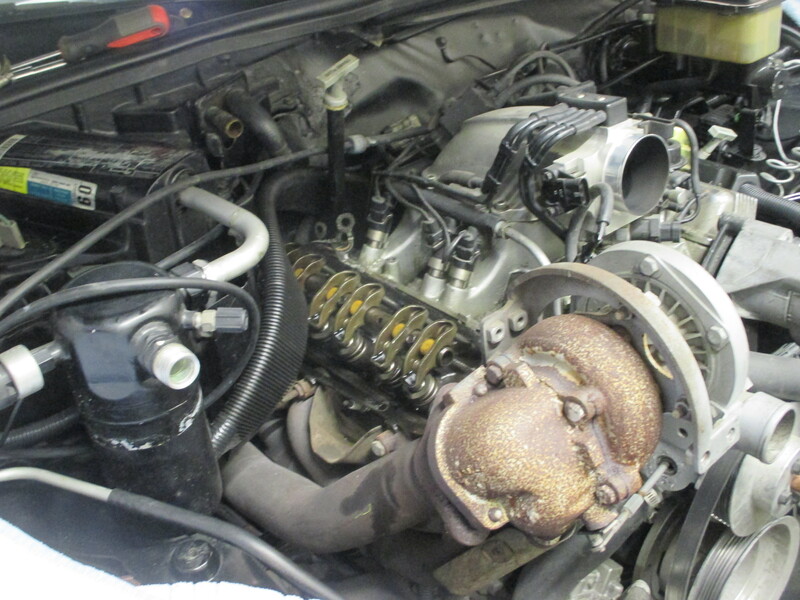 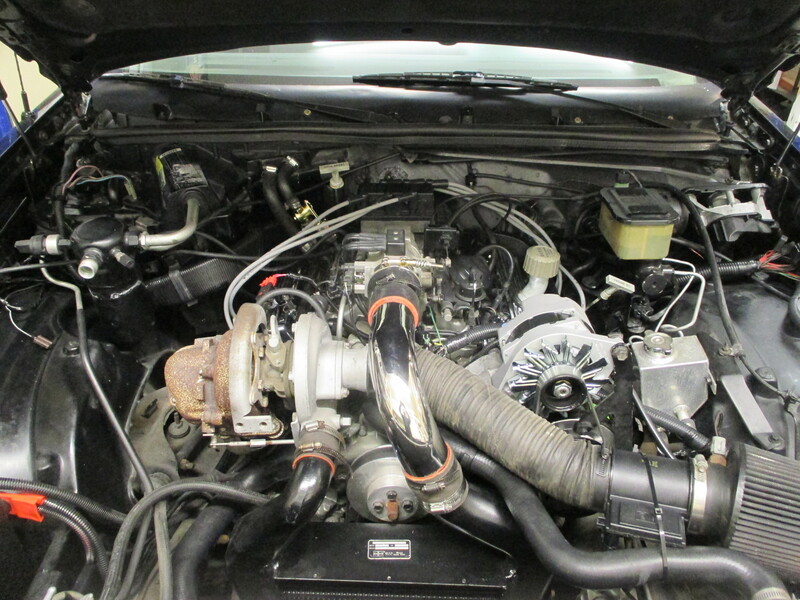 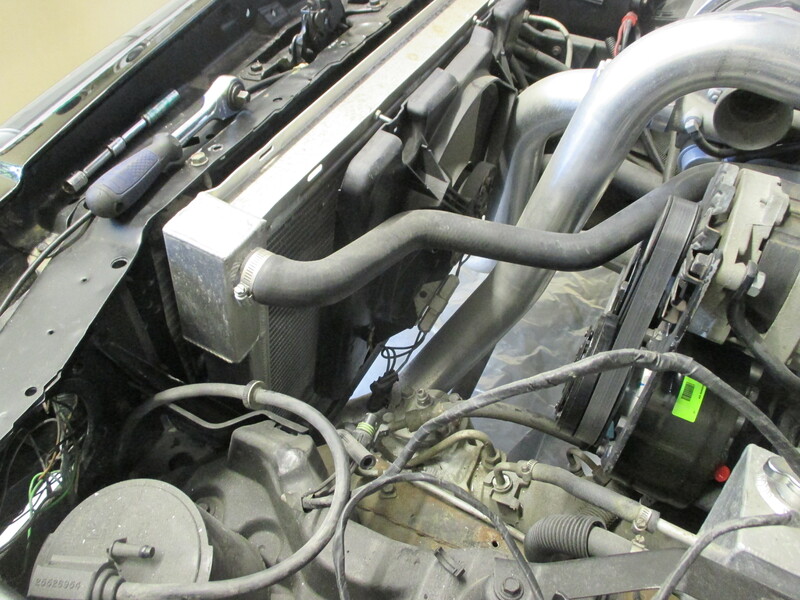 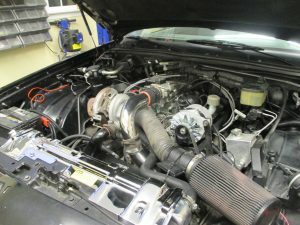 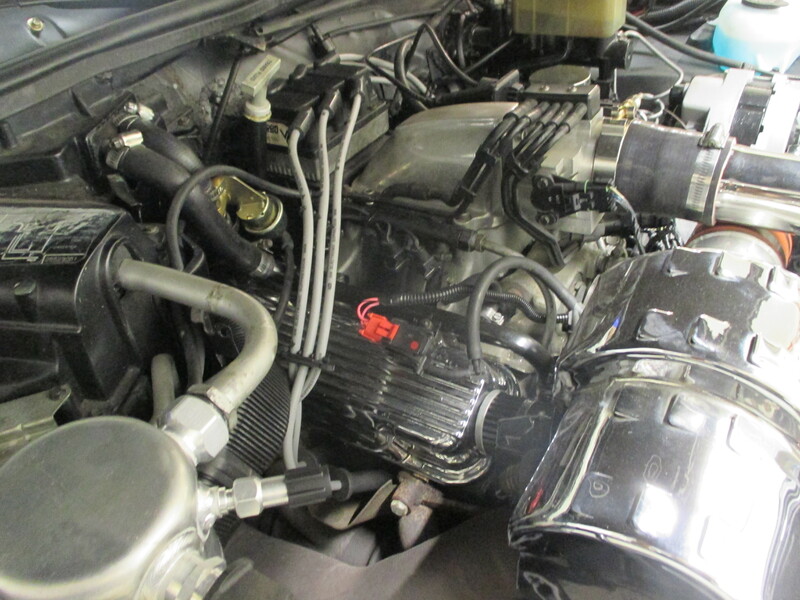 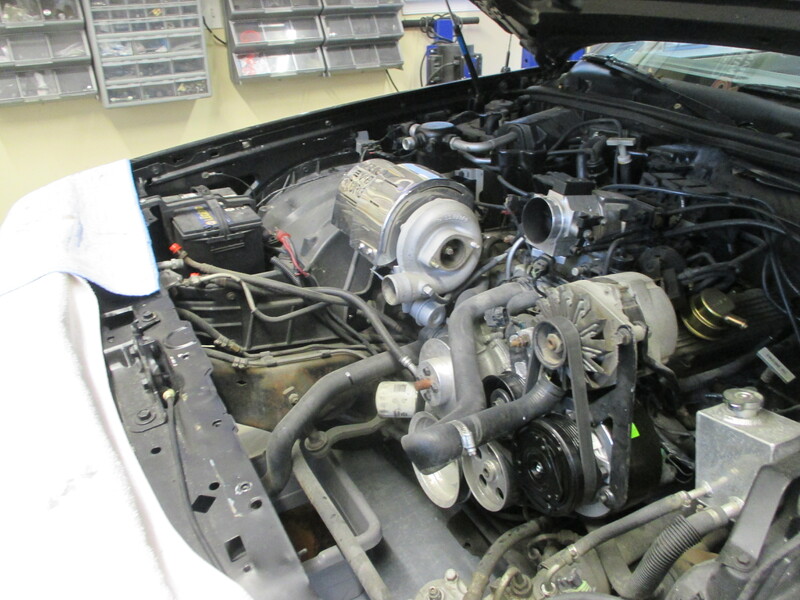 This 1987 Buick Grand National has been affectionately nicknamed the “Turbo Tenor”. 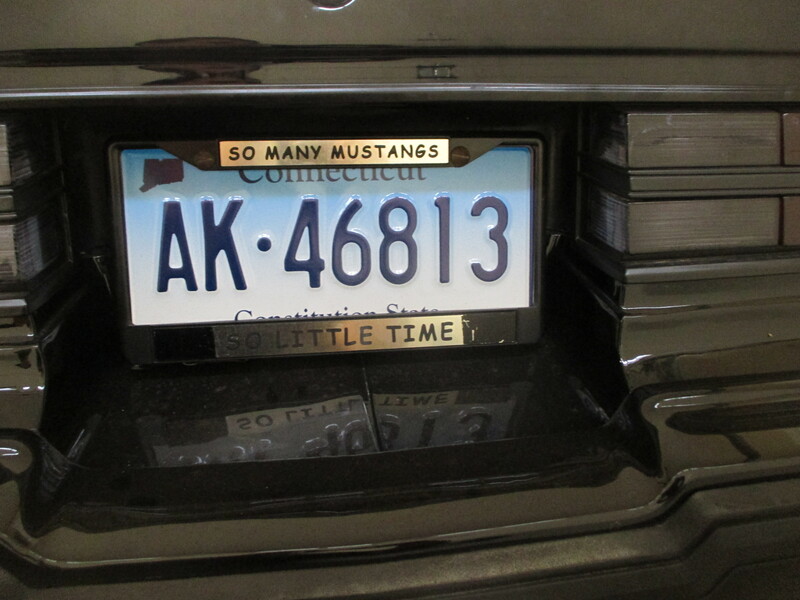 The gentleman owner of this car is a New England resident with a wonderful voice ( tenor of course) and a big heart. This is a very nice car just in need of need of some TLC as there are few parts our of place. 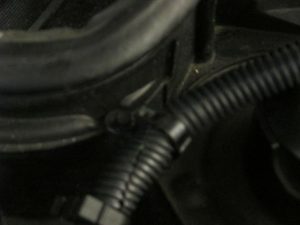 New factory correct numbered 8mm spark plug wires. 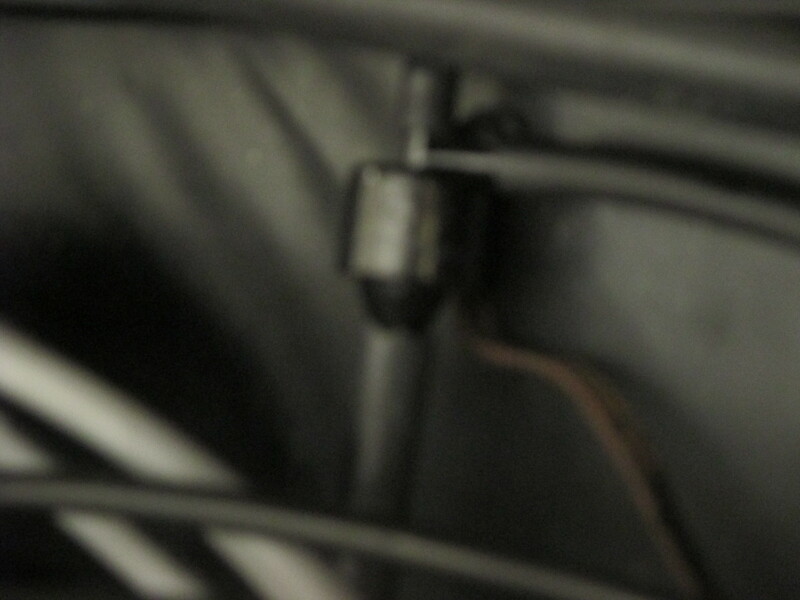 These are perfect reproduction wires. 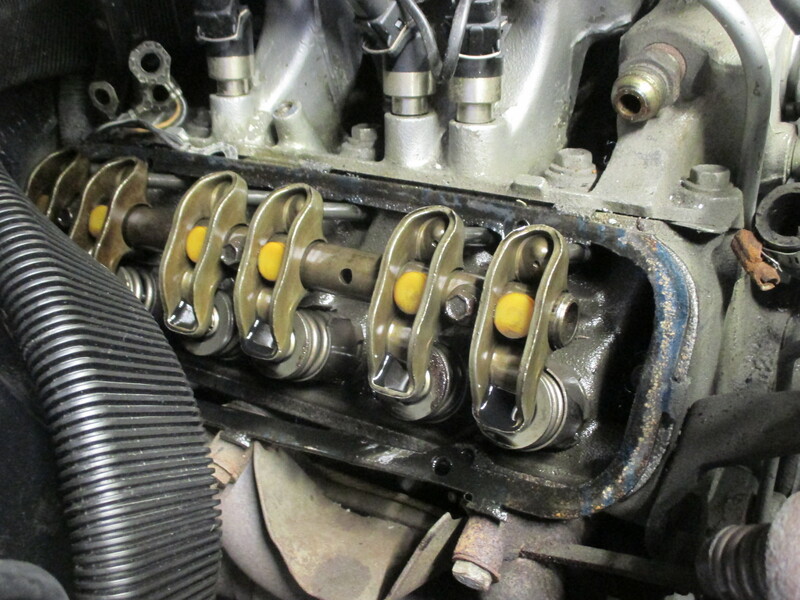 Each one is the exact specific length for each cylinder to prevent interference and look correct and neat. 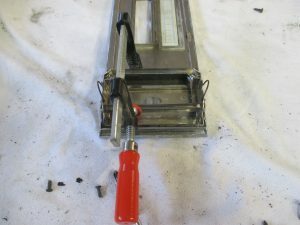 Also included are the correct wire holders. 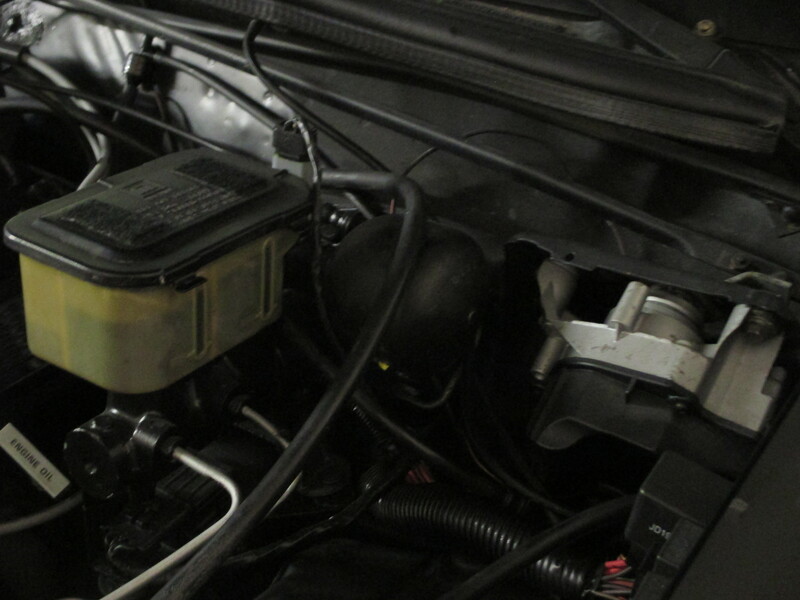 Also installed a OEM coil pack and ignition module. New correct positive and negative battery cable. 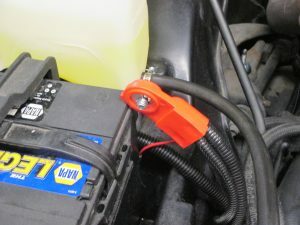 Also replaces was the orange ECM power wire. 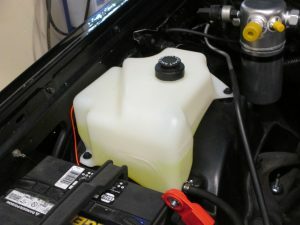 And the a new antifreeze overflow tank. 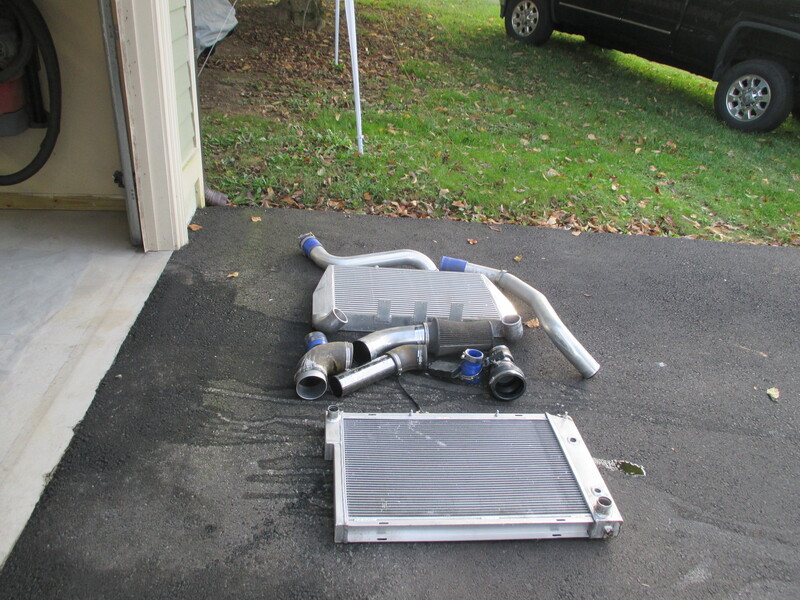 Provide new A/C evaporator also installed. 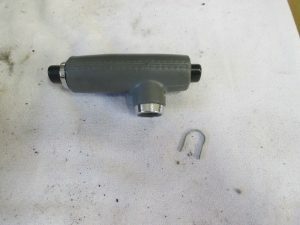 On the left are the center caps without the GM steel clip. 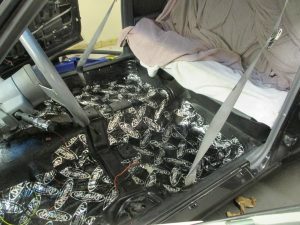 This makes them more secure. 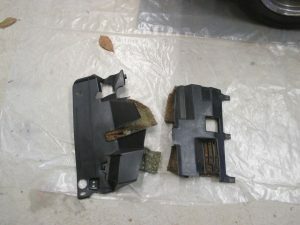 A funny story. 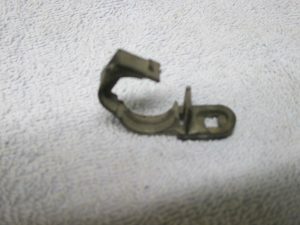 There is a unique clip that holds the wire loom near fan motor in place. Yours is missing and I don’t have a spare. I figured we would just do without. 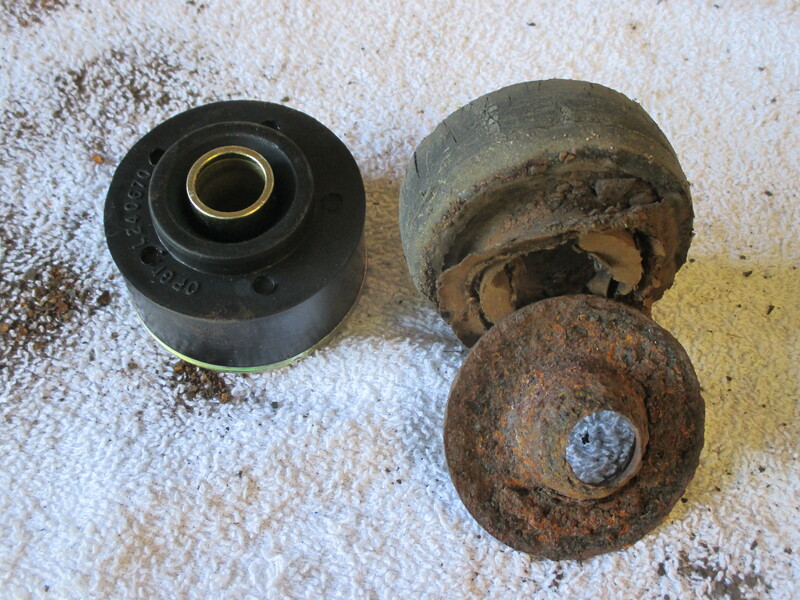 Well…. 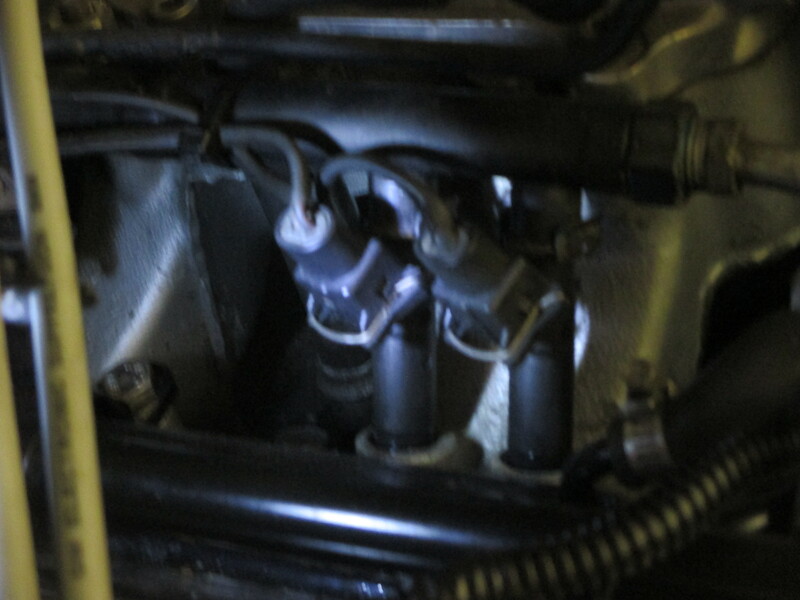 When I was changed the front shock, there it was sitting inside the lower control arm. 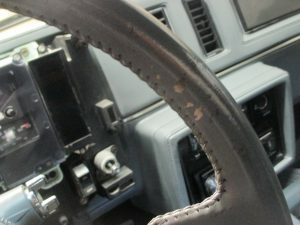 I wonder how many years it has been there, through towing and moving and test-drives just waiting there for me to find. 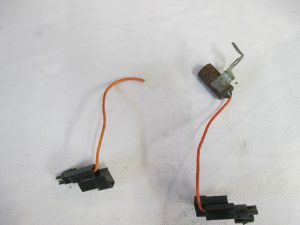 This wire and resister were cut from the fuse box. The driver’s door was at some point replaced, as the inside of the door is painted white. 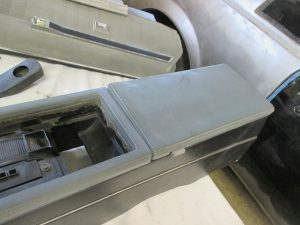 Also the lower door seals are missing from both doors. 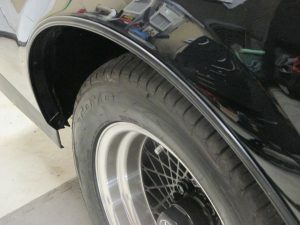 Driver’s side wheel well baffle is missing. 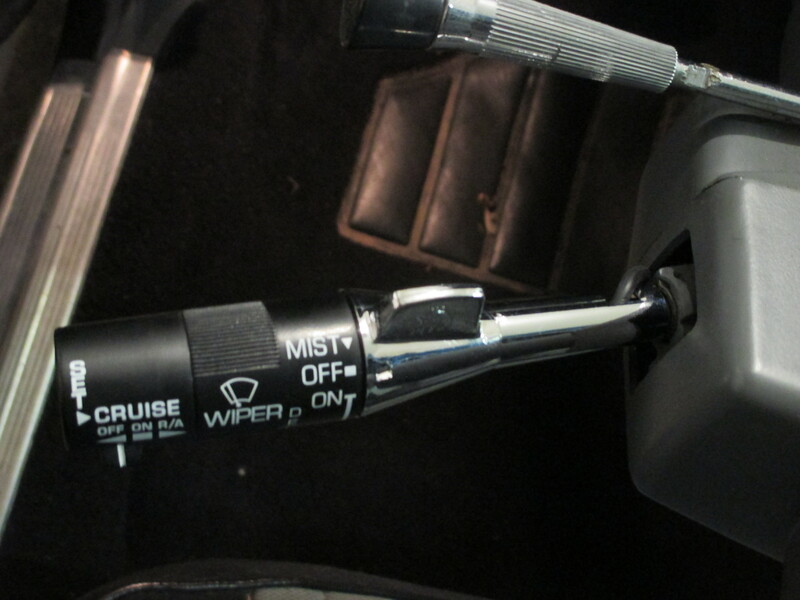 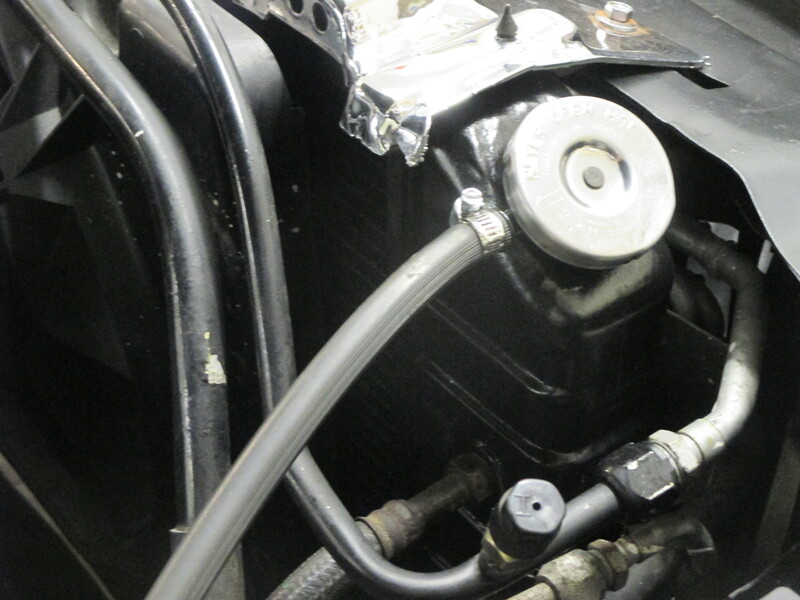 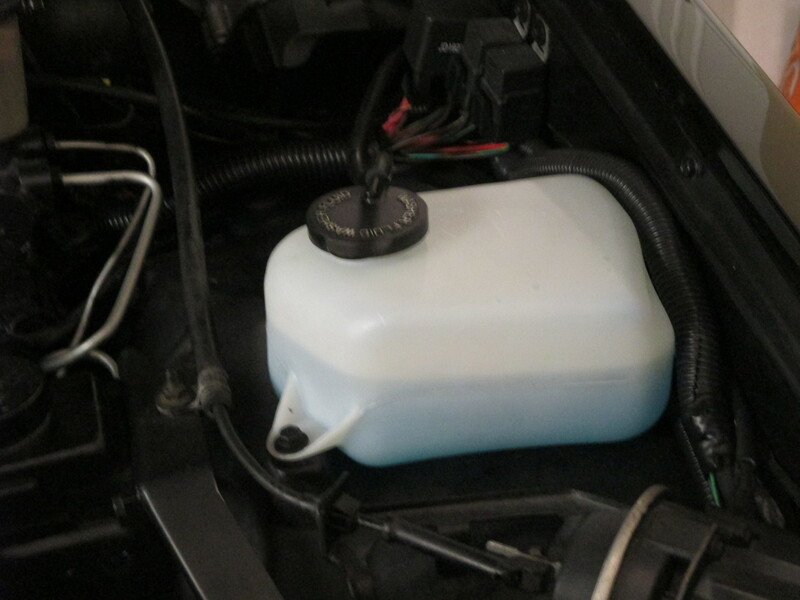 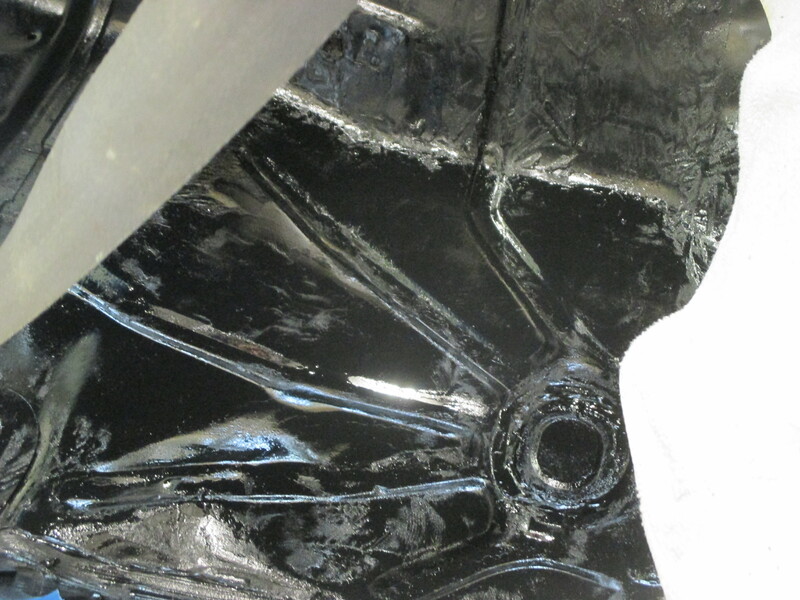 This helps keep water and debris out of the suspension and engine compartment. 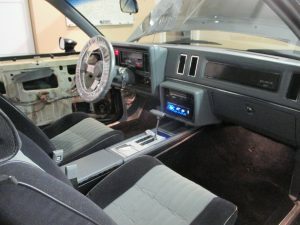 The passenger’s side one is there. 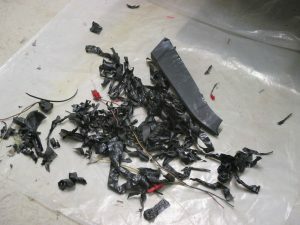 This is all the tape that does not belong in a Grand National engine compartment. Tip: traditional electrical tape has an adhesive that is not heatproof. It melt from the heat of out turbo engine and turns to goo. 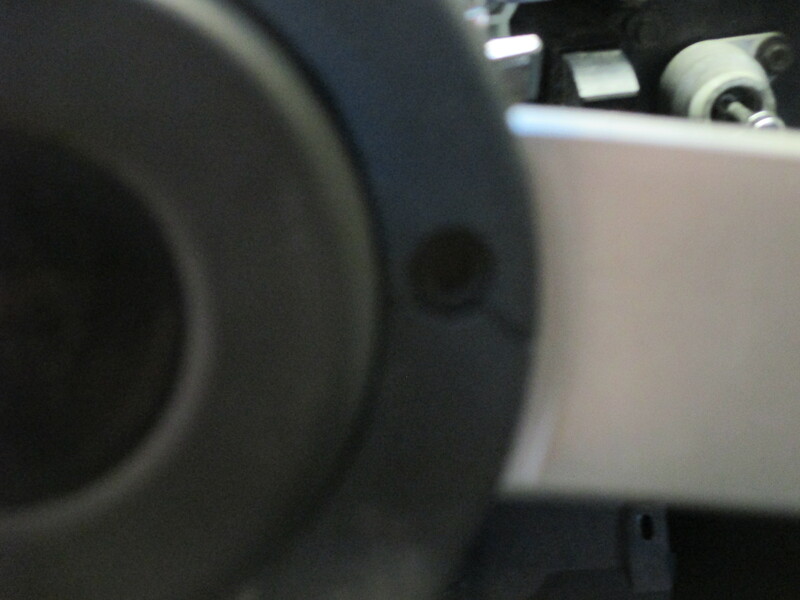 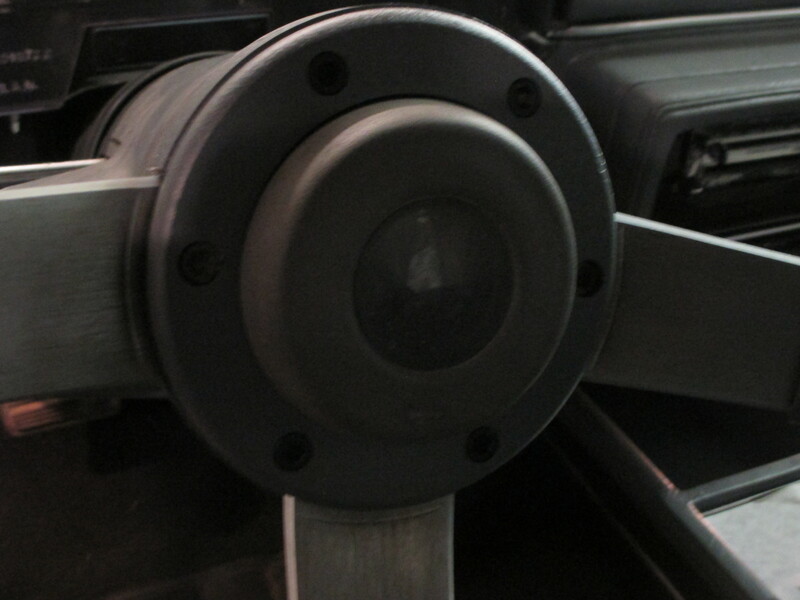 Only a heat resistant, low adhesive tape should be used sparingly near these motors. 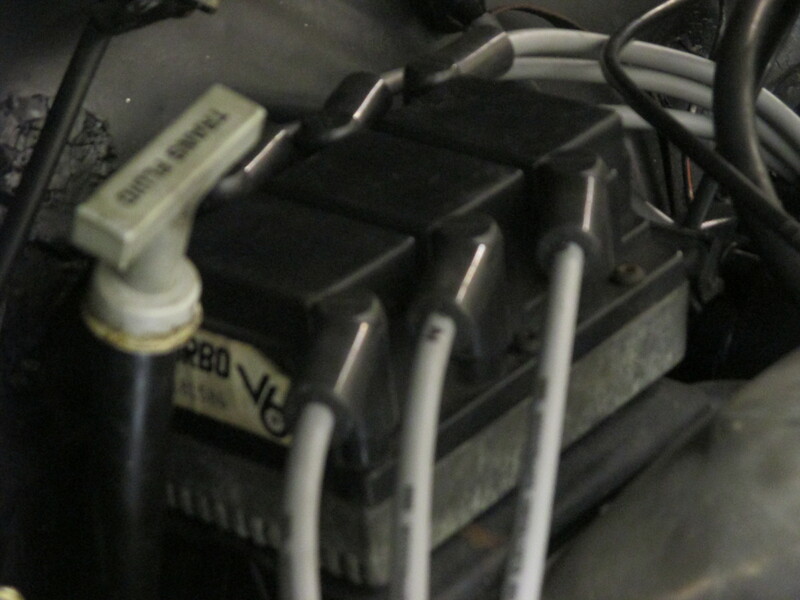 In fact most Grand National wiring are protected in wire looms. No sledge in the motor but oil is black and has a bid of a fuel odor. We will flush the motor new oil and put fresh oil in a second time. 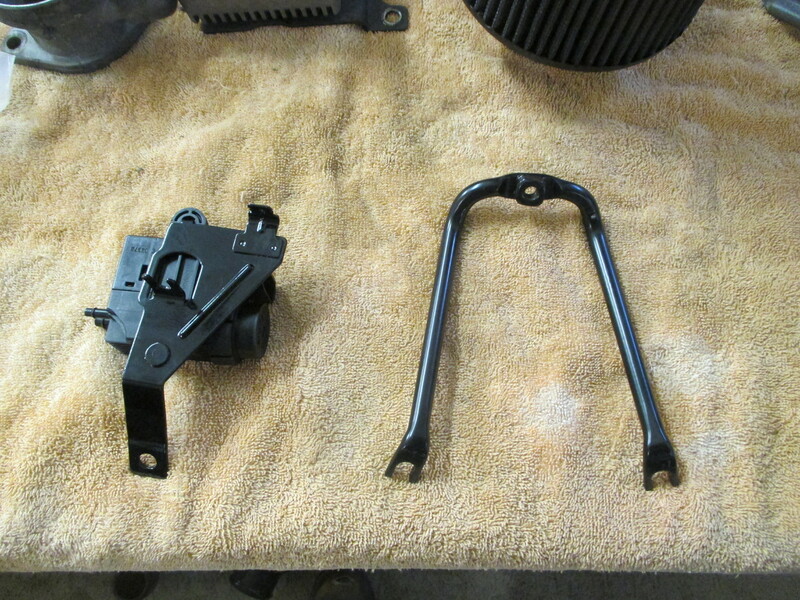 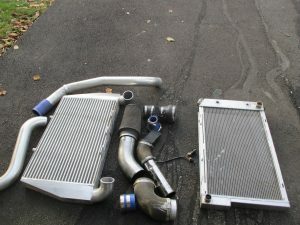 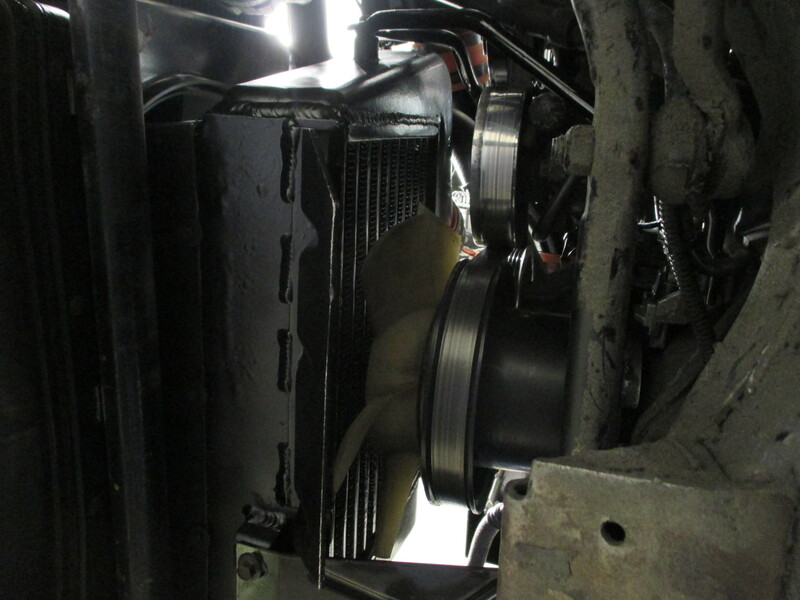 Both inter cooler brackets were missing as well as harmonic balance pulley. 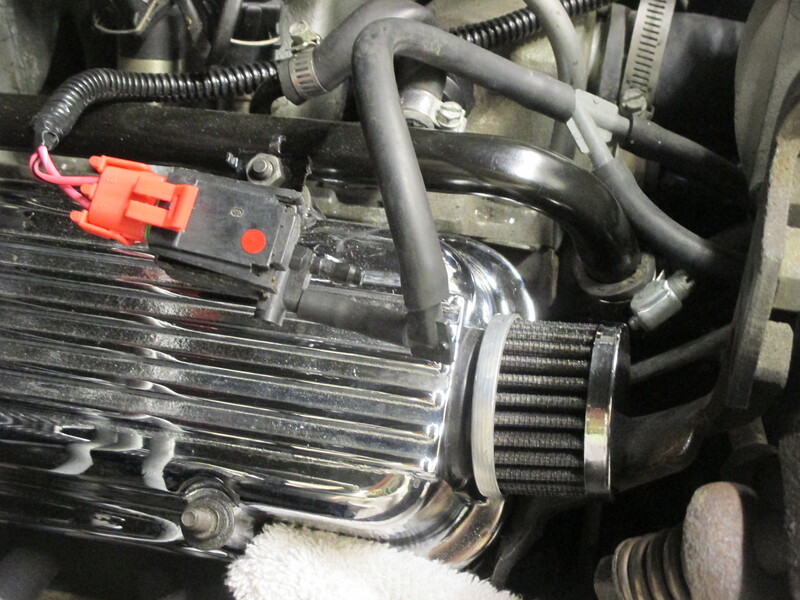 We also replaced the small heat shield behind the trubo we a chrome one we have in stock. 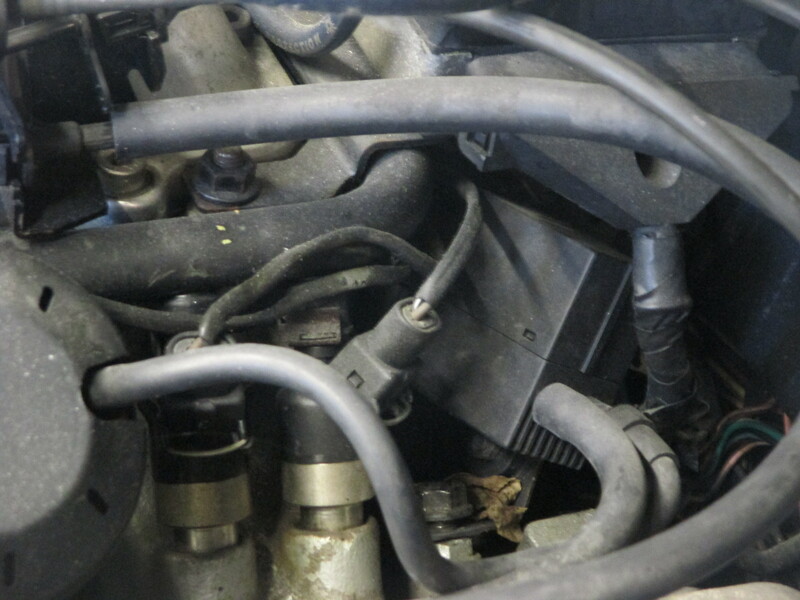 The manifold coolant line are rusted and corroded. 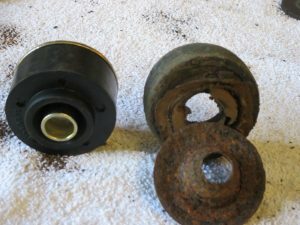 They were replaced with a powder coated pair for long life. 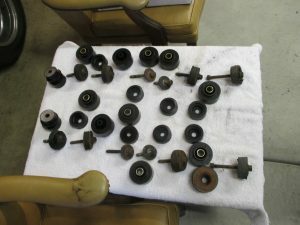 They were all replaced with new top of the line bushings. 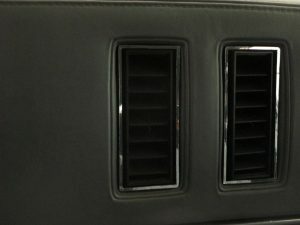 New and old side by side. 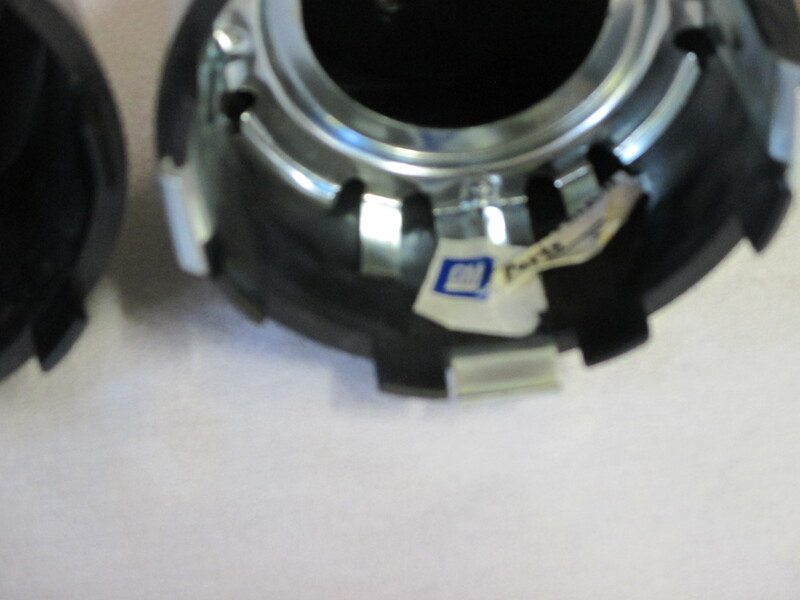 We also added the number 5 GNX bushing. One are of rust damage. 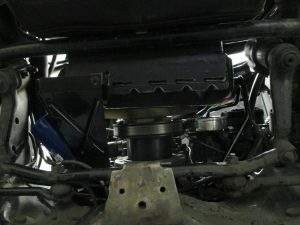 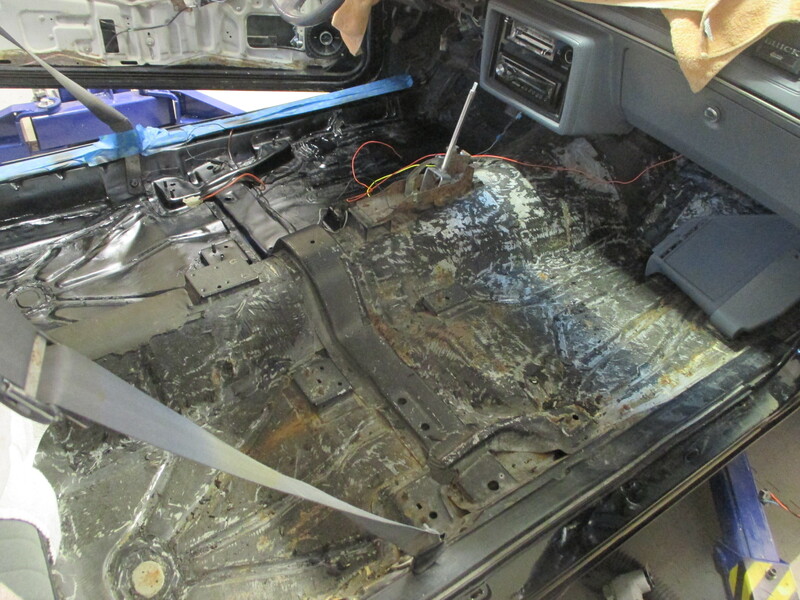 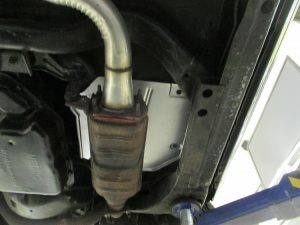 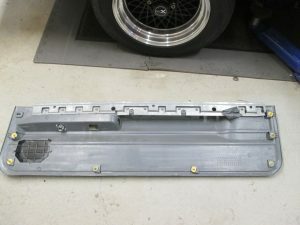 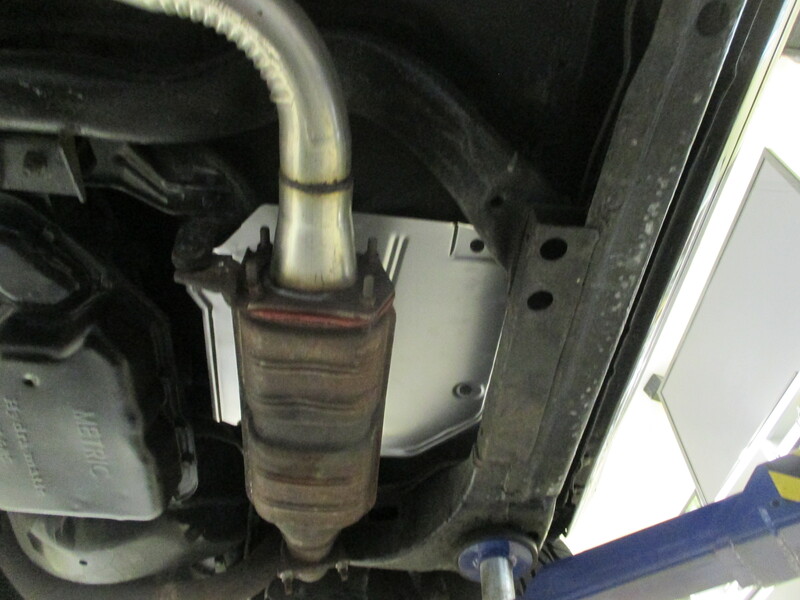 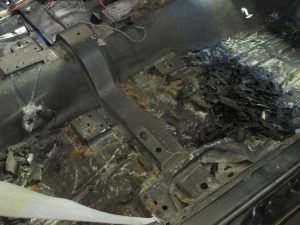 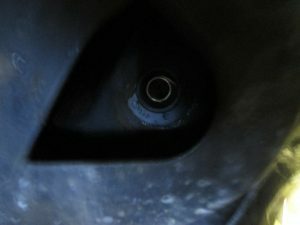 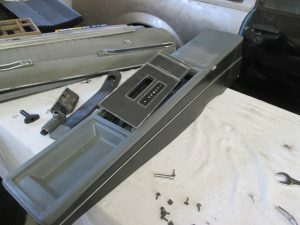 The is on the frame where the front bushing is just under where the computer is located on the front passengers side kick panel. 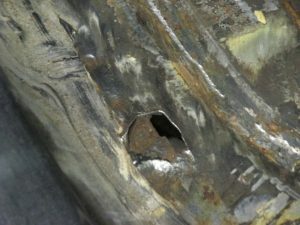 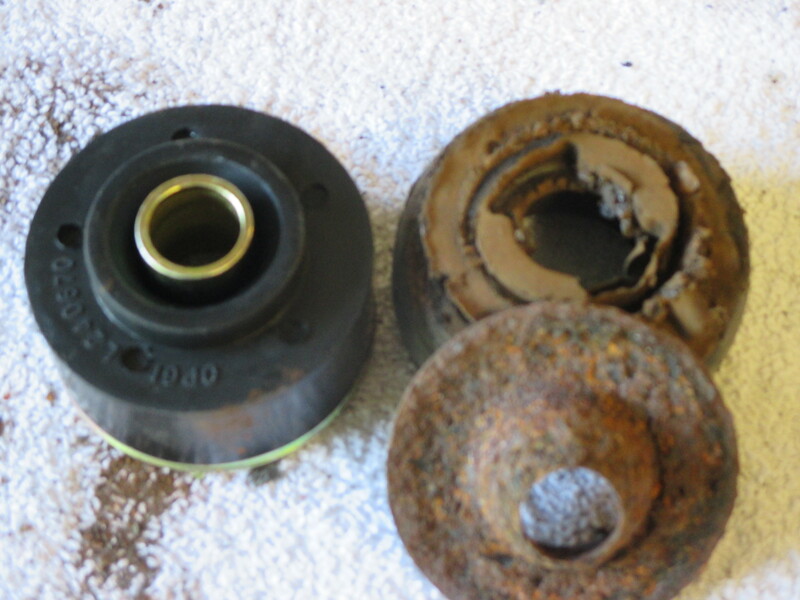 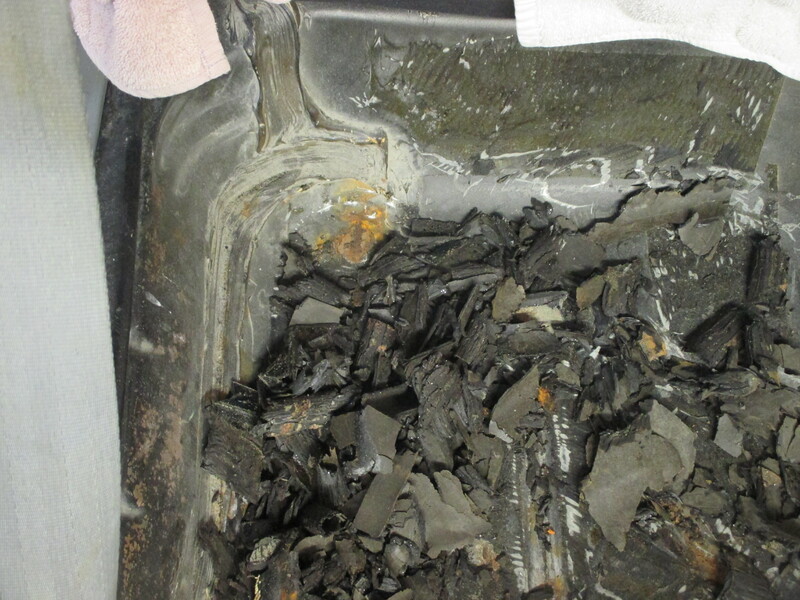 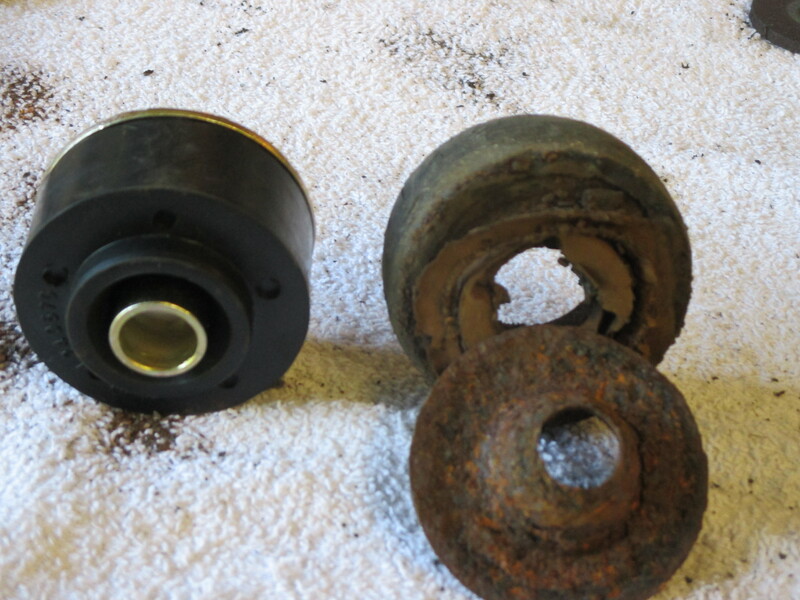 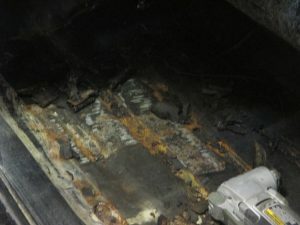 The area of the car was exposed to a large amount of water and rust formed around the bushing hole. This caused the hole to enlarge and the bushing fall through. 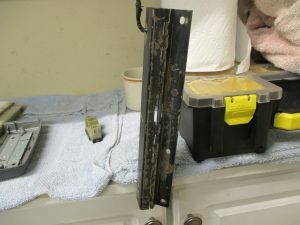 So far we have cleaned all of the rust off. 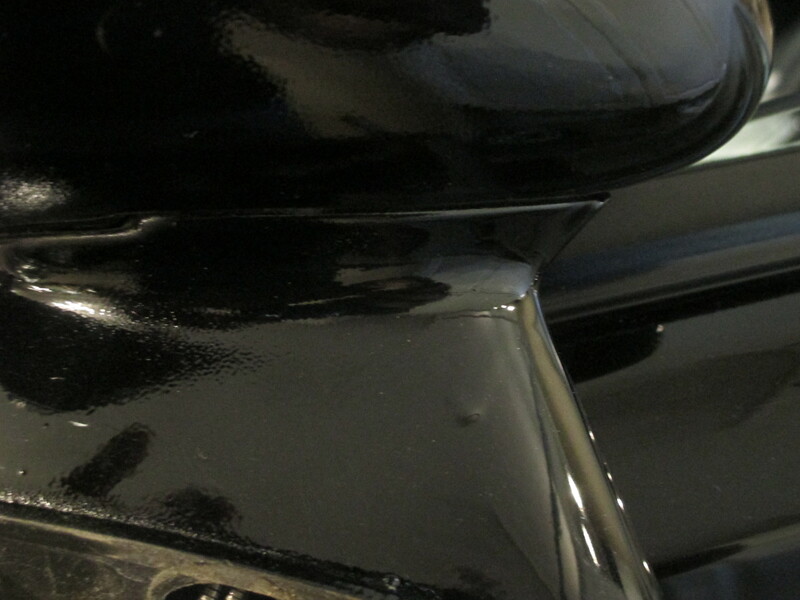 It has been sprayed with a rust inhibitor. We will later install a reinforcement plate to this area to ensure a solid fit. 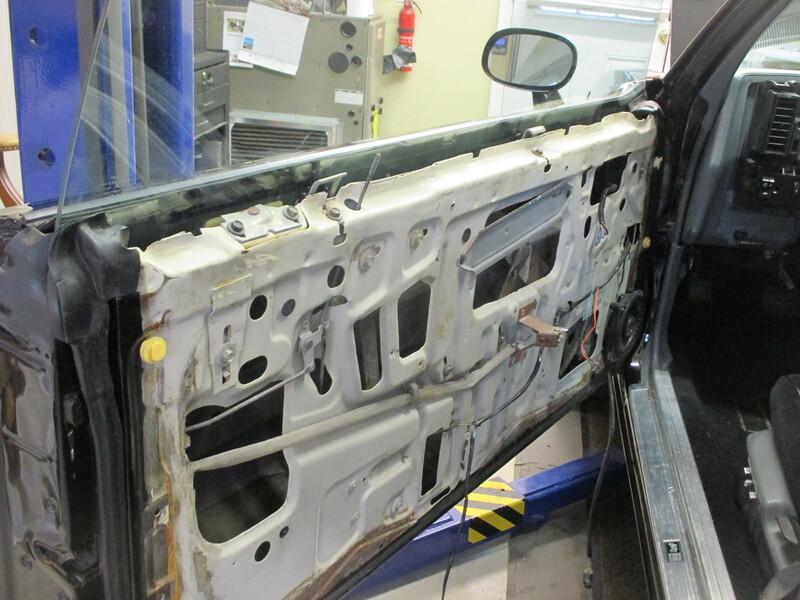 More picture will follow as we complete this repair. All of the parts are in place. Now we can begin to troubleshoot the mechanical issues. This entire section of wiring was missing. 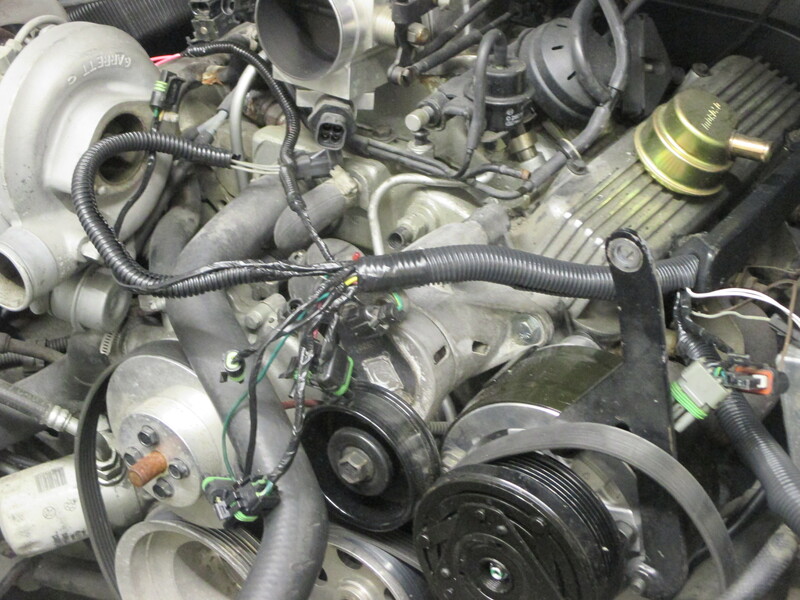 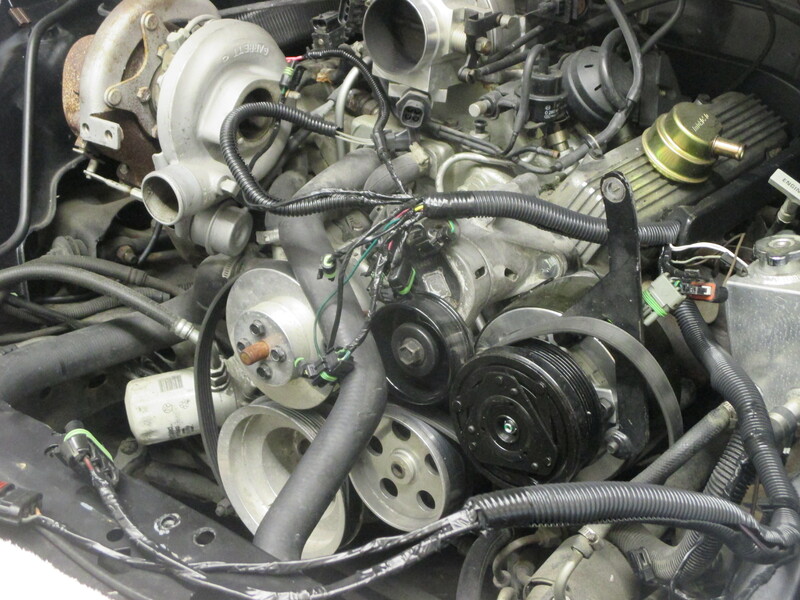 This wire harness is separate from the engine harness. 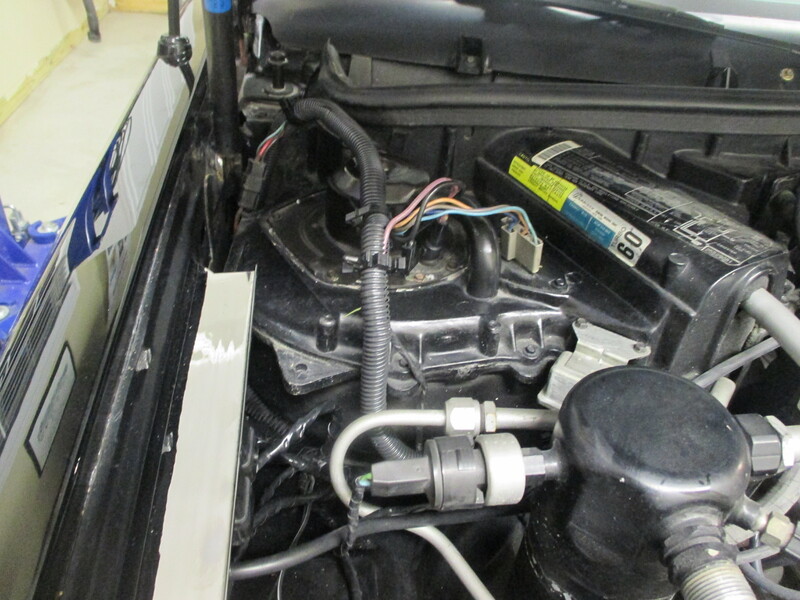 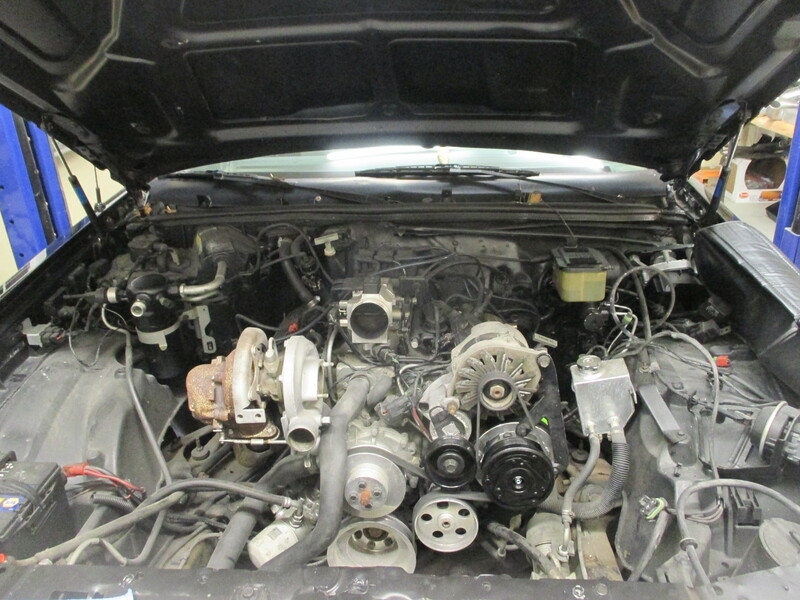 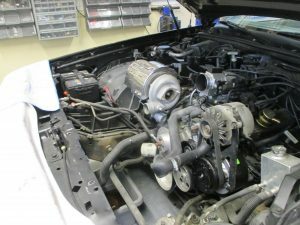 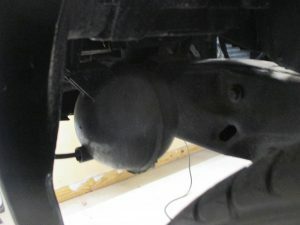 It is in between the engine harness and the interior harness and controls the blower motor and connects to the fan relays. We have completely restored this harness and located the relays on a chrome plated original relay/sensor bracket.We know chrome is not stock but our client likes a bit of chrome so we are going to work some in for him whenever possible. 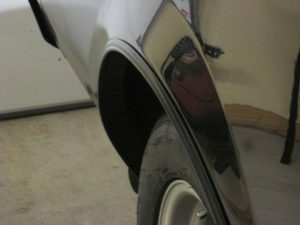 All of our chrome is top quality triple chrome, which is copper, then nickle and then chrome. Will last for many years. 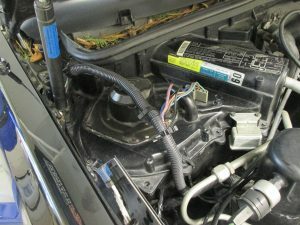 We also replaced the blower relay and located in its proper location next to the fan. 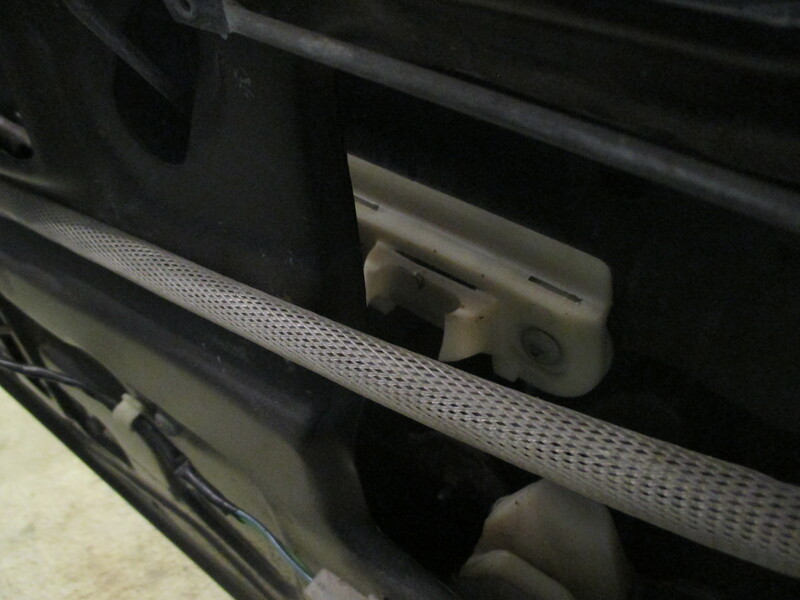 All wires have been placed in the factory correct wire loom as well. 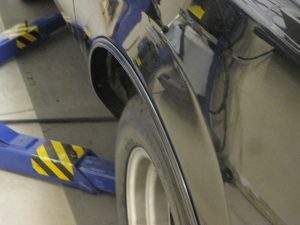 The wheel well was wet sanded and brought back to a factory shine. The driver’s side wheel well was also cleaned. 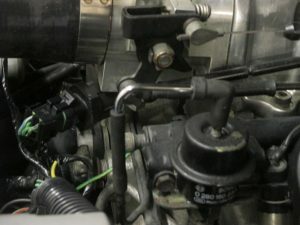 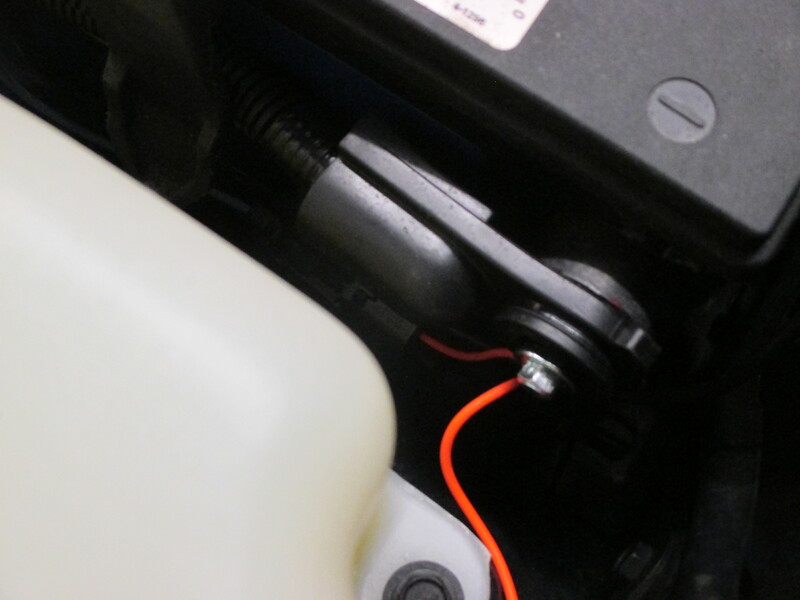 There is also another harness on the driver’s side that is not related to the engine harness. 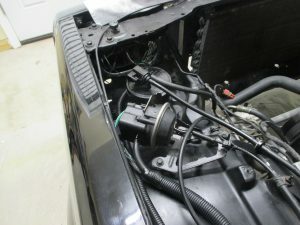 This harness has the wiring for the lights and part of the cruise control. These wires were restored and place in the factory correct wire looms. Also restored and replaced to its proper location is the fuel vapor canister. 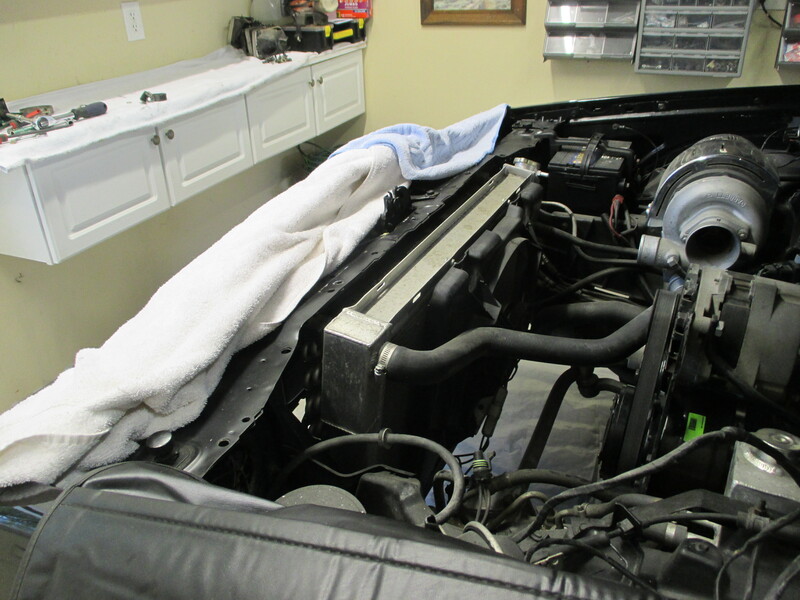 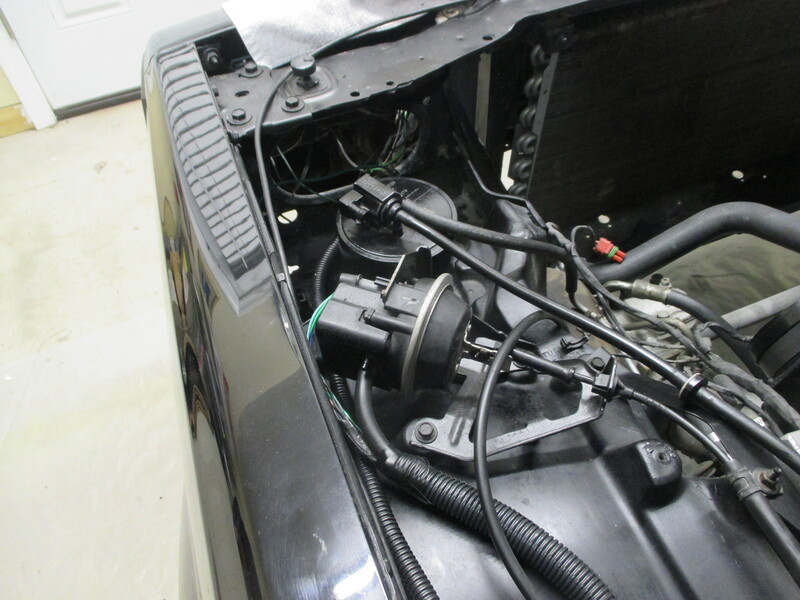 We have placed the hood shocks in the correct upright position and installed a correct Grand National hood pad. 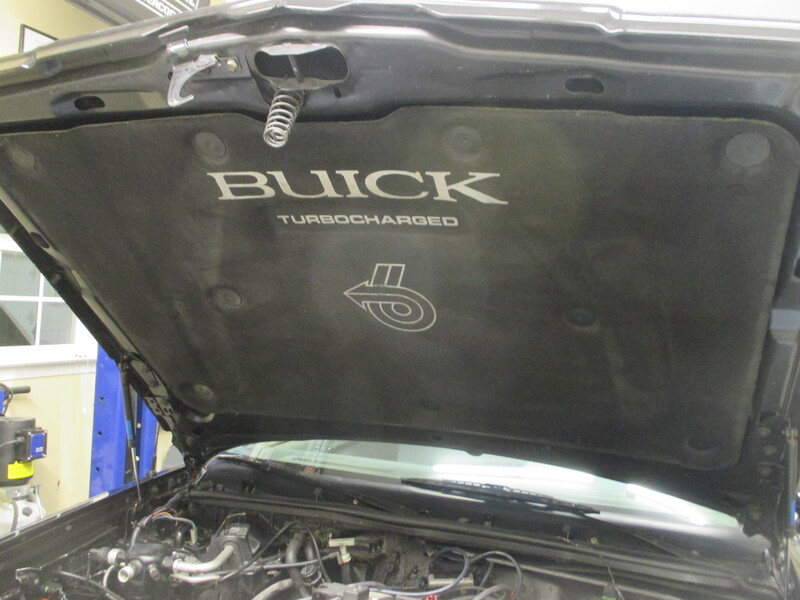 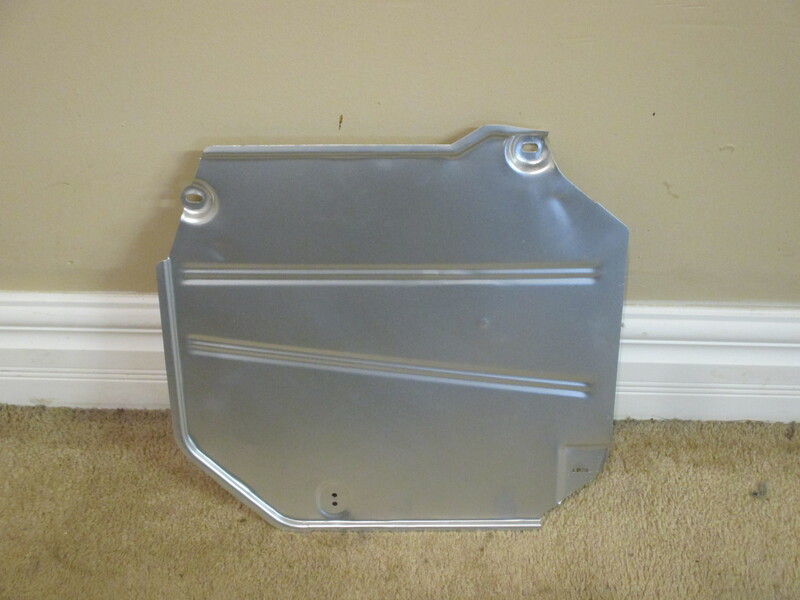 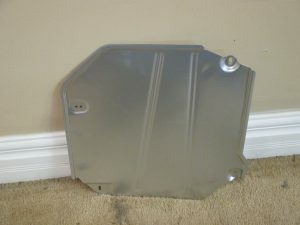 New original hood pads can cost as much as $1000.00. 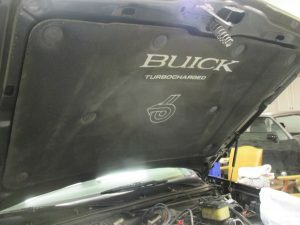 That’s why we save these nice used ones. Nice and clean, no holes and only a fraction of the price. 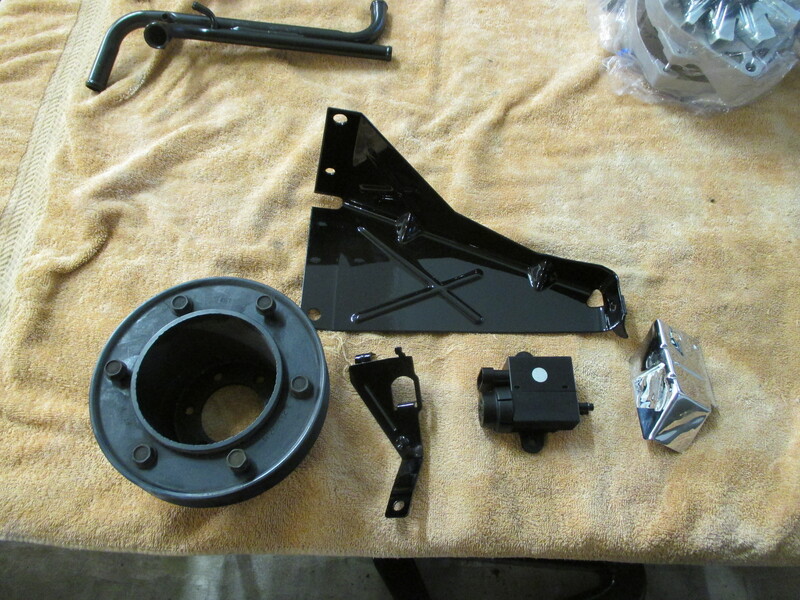 Some of the nice correct parts going in. Complete 22 piece body bushing kit including the addition of the GNX bushing. A correct reproduction aluminum radiator, which will be painted with a black heat disbursing paint before install. A new alternator, correct inter-cooler, fan, brackets and shroud.